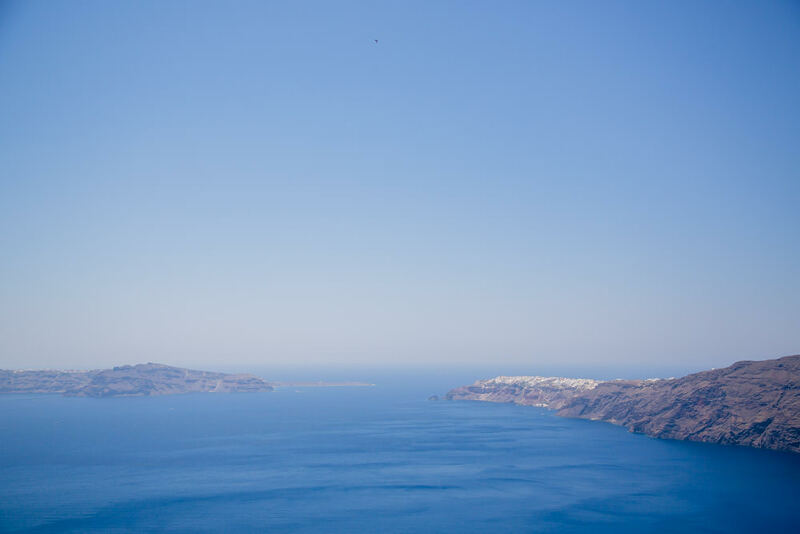 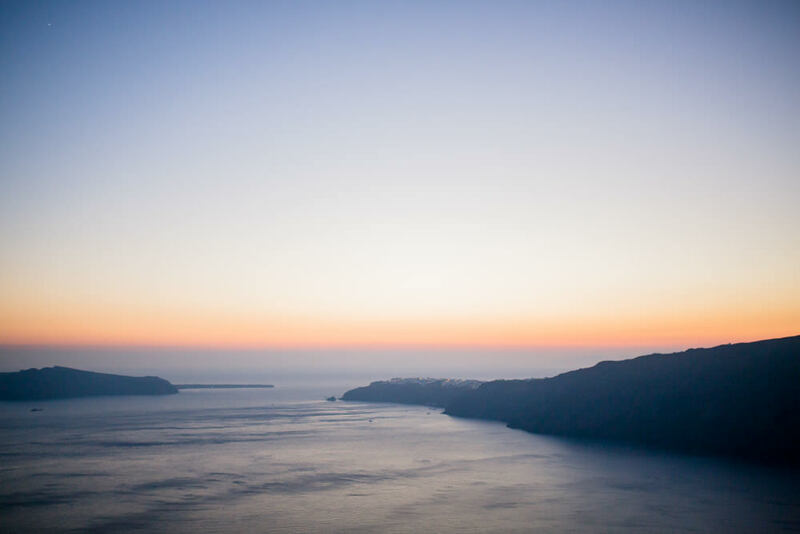 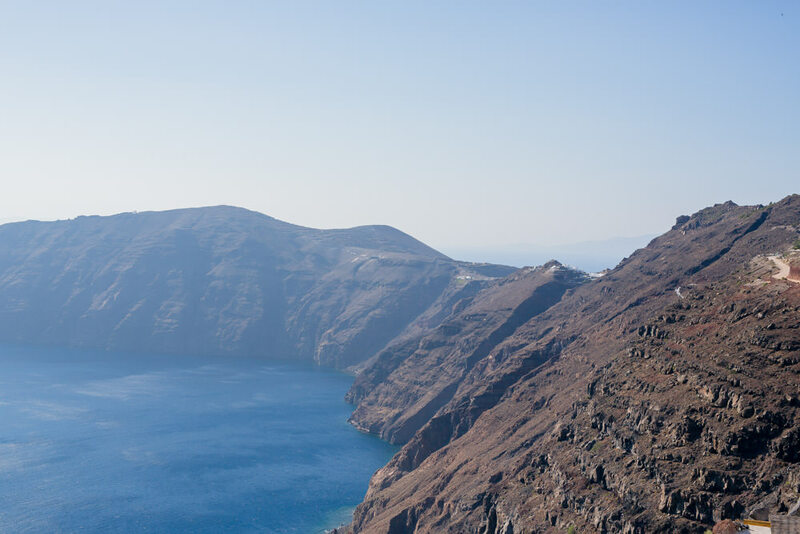 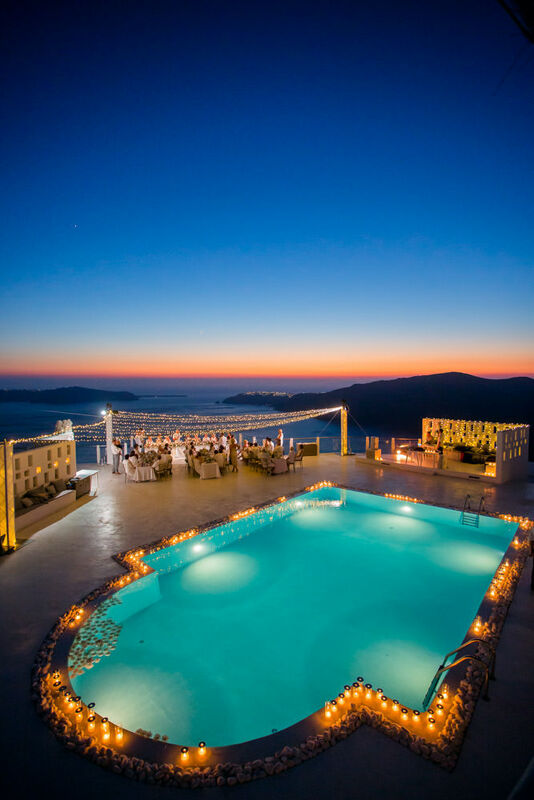 We’re perfectly sure you’ve heard it before, Rocabella Santorini is probably one of the most iconic hotels on the Isle with megastars the likes of Mick Jagger flocking every summer to enjoy a glorious vacay in the sun with the views of the caldera making your head spin with beauty. 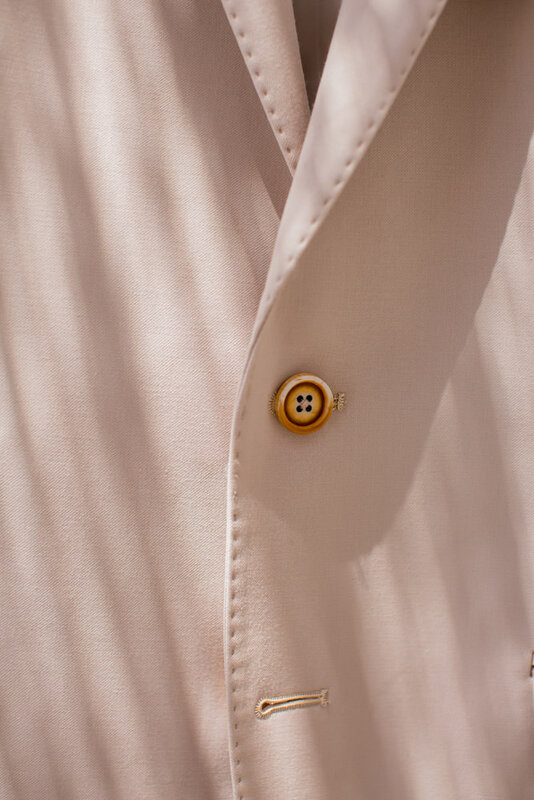 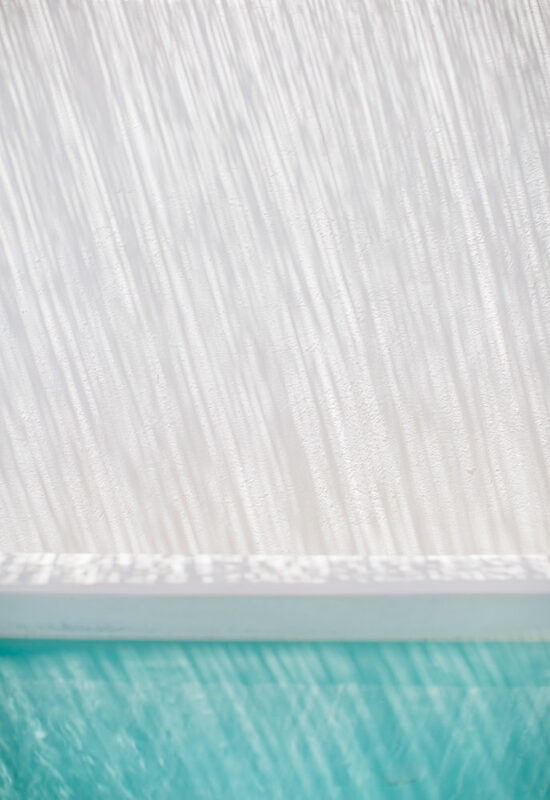 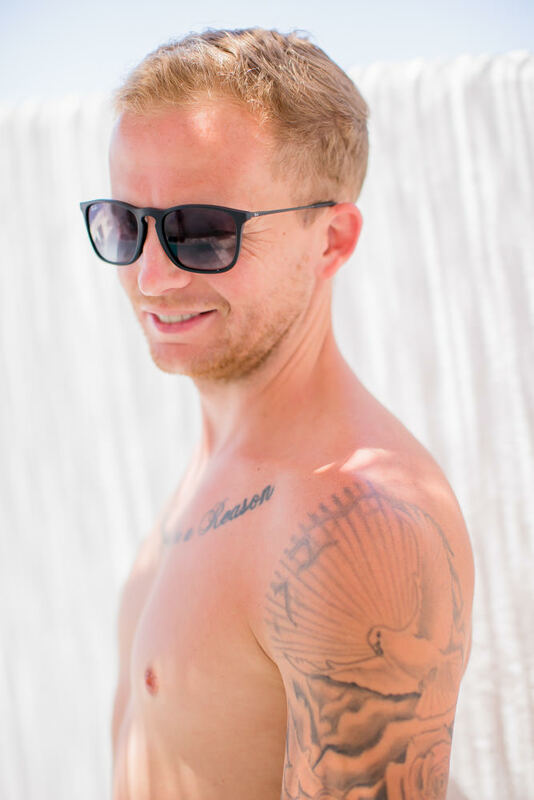 Perfectly perched atop the volcanic rock pretty white cabanas flaunt their pasty architectural sleek, as jetsetters enjoy bespoke slings in their private pools. 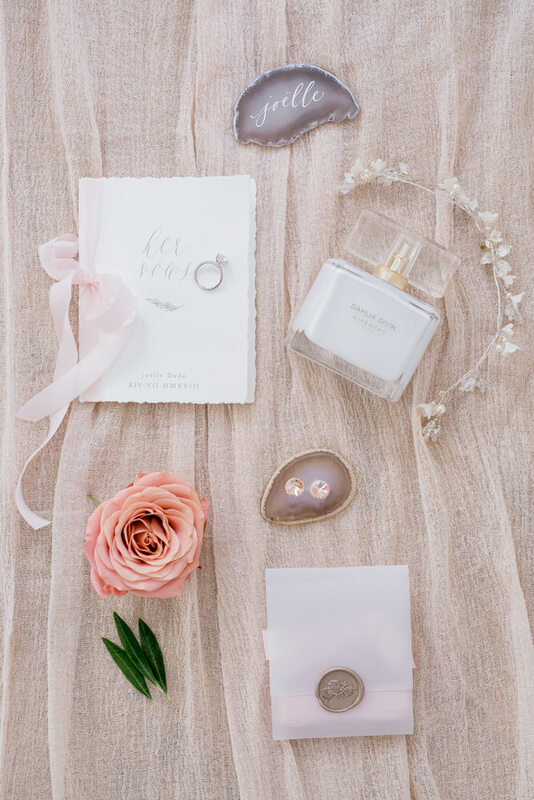 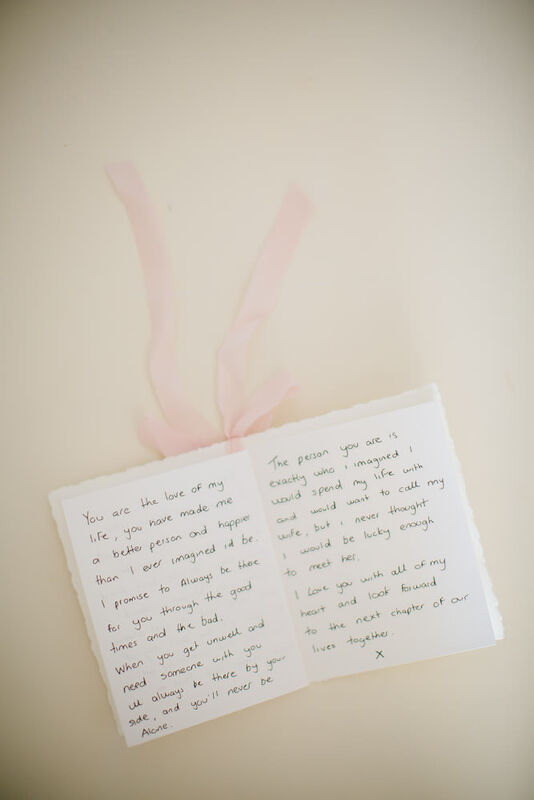 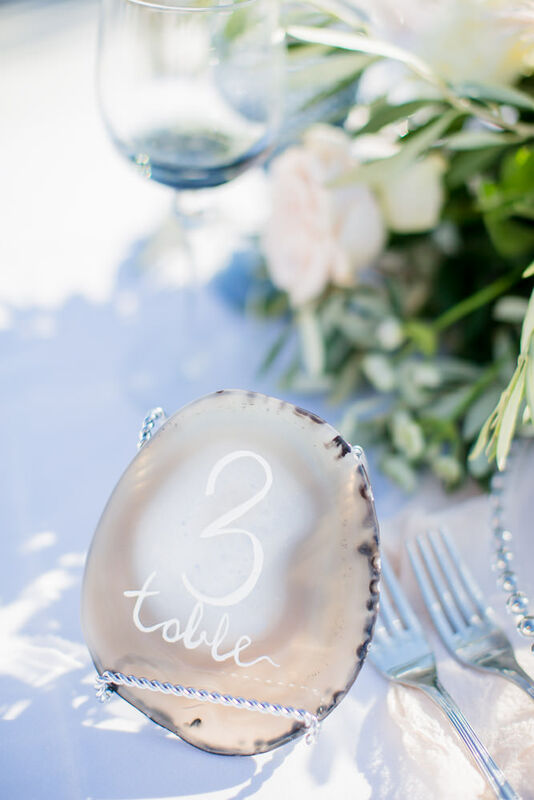 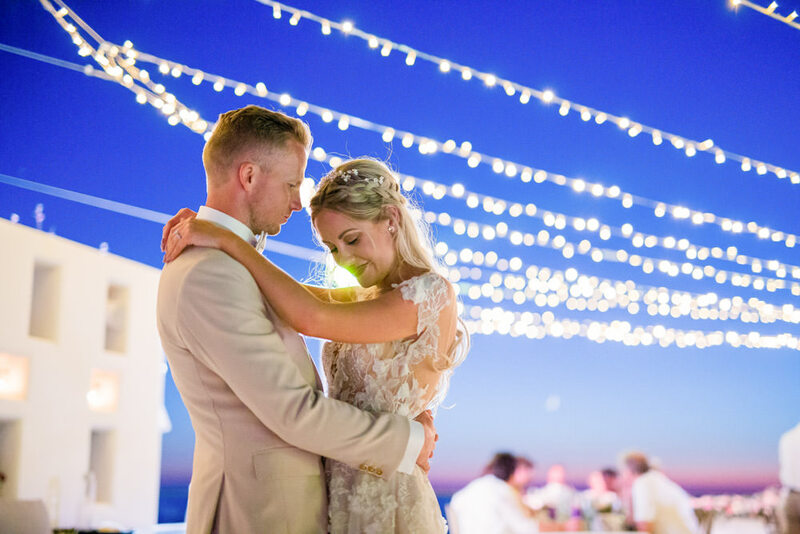 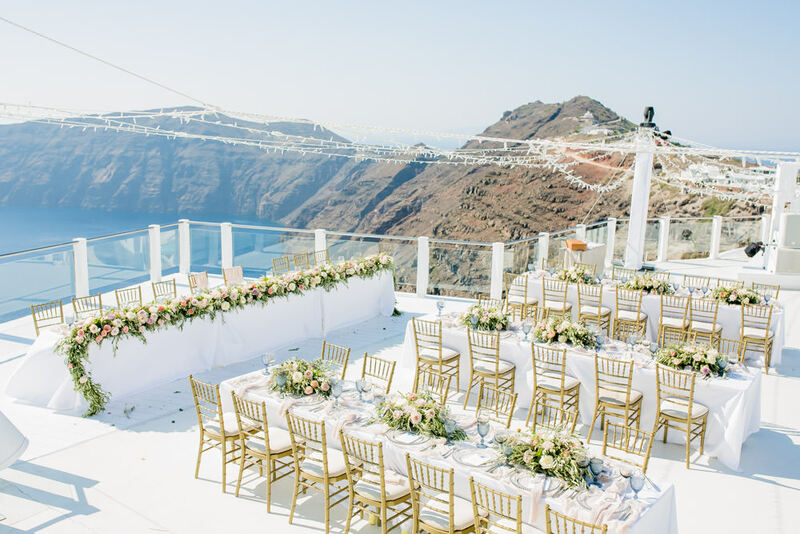 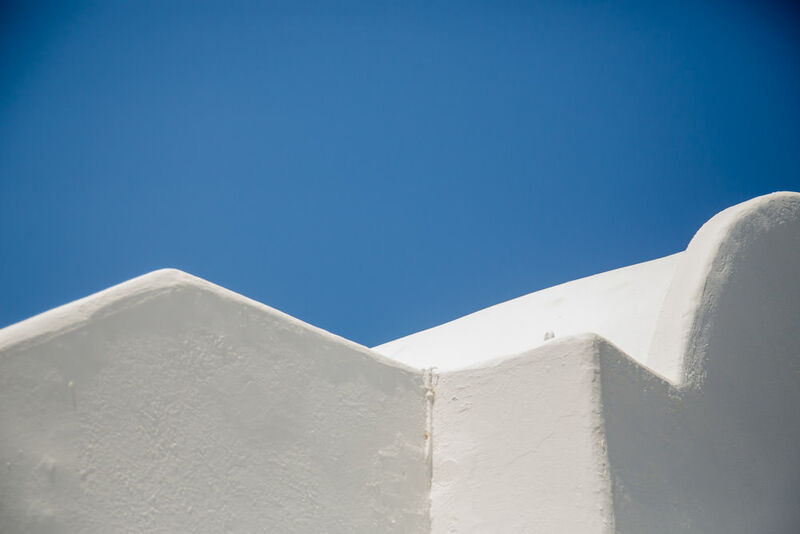 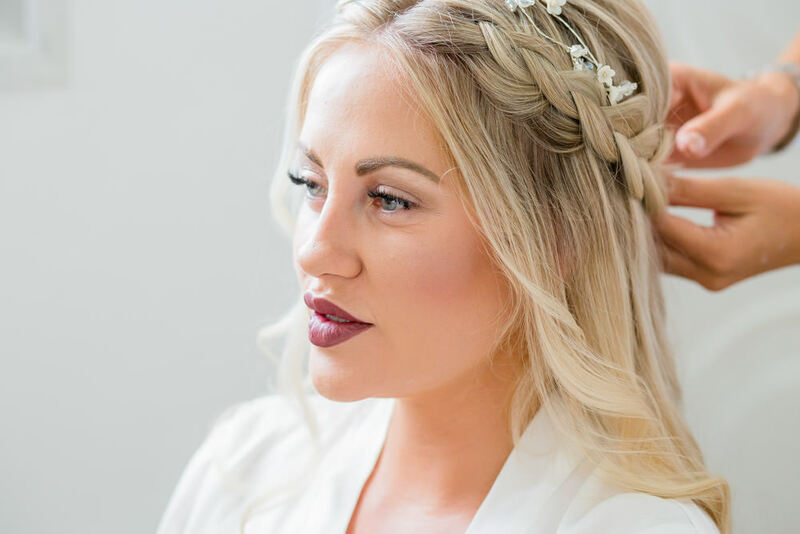 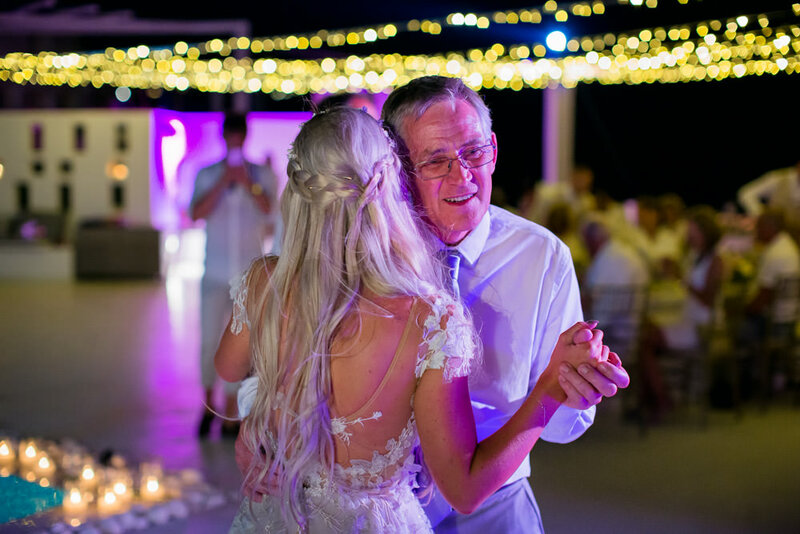 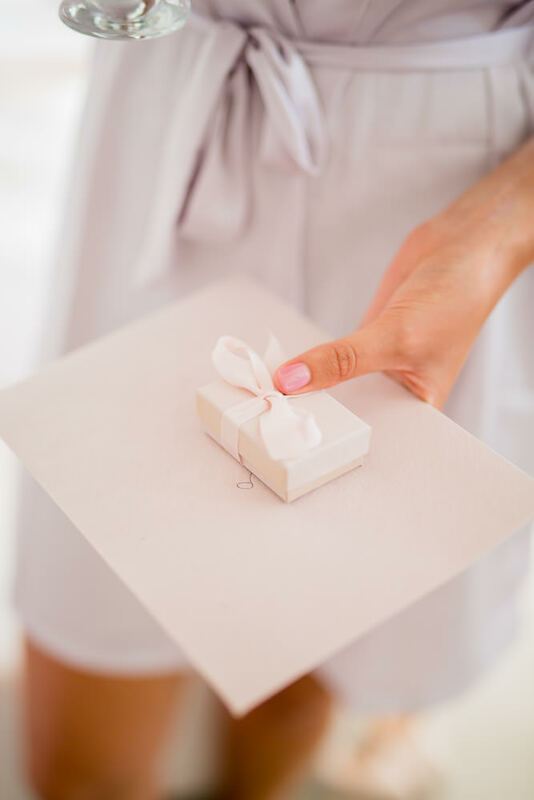 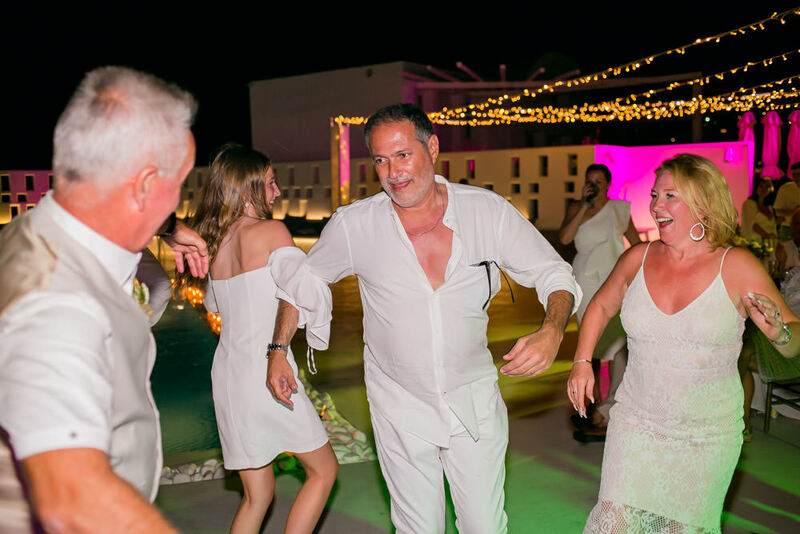 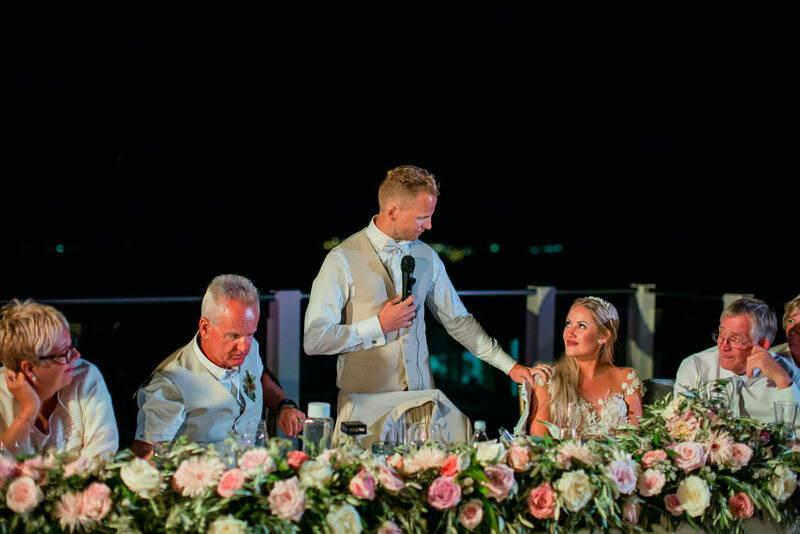 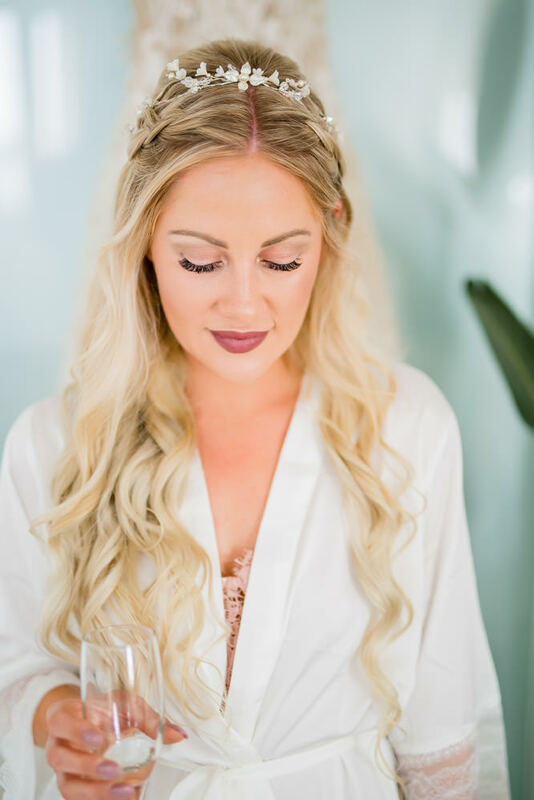 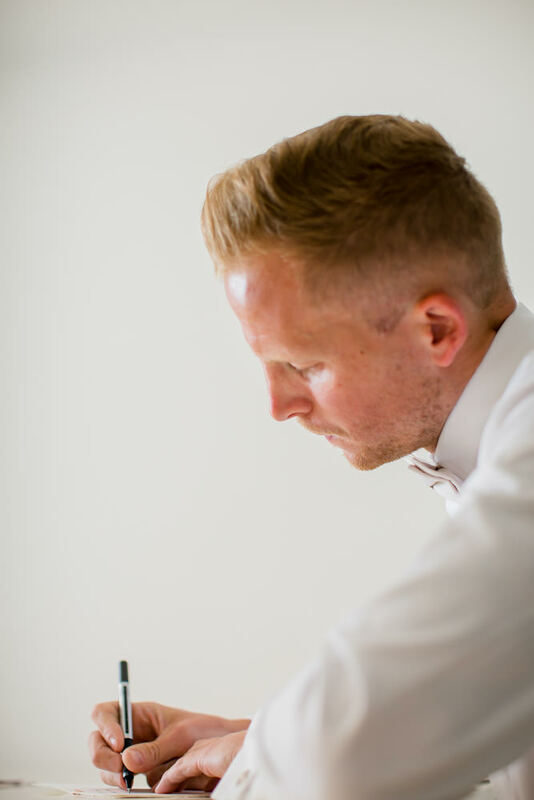 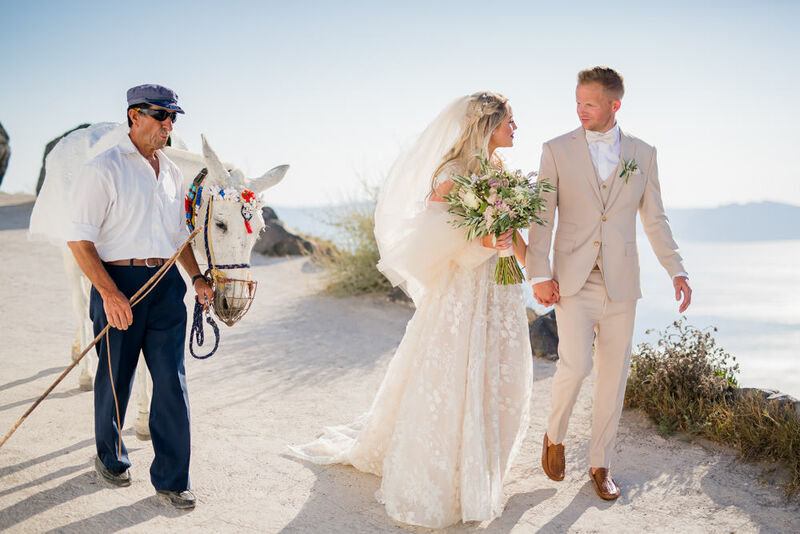 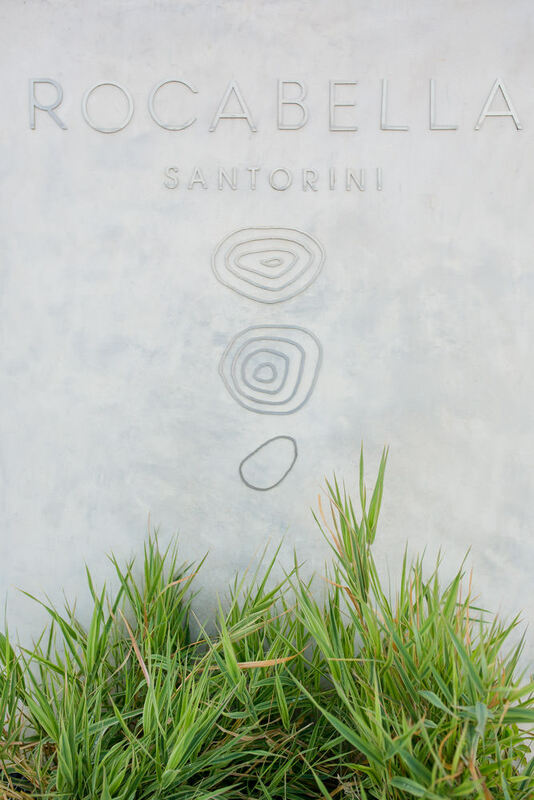 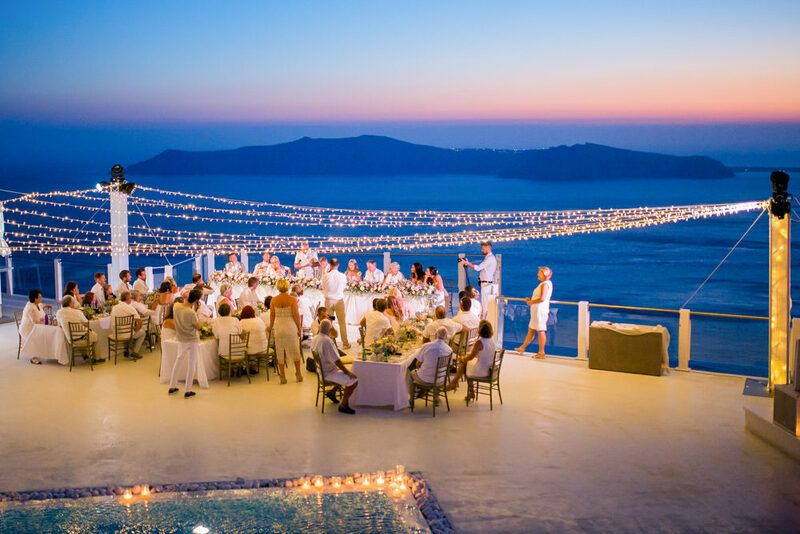 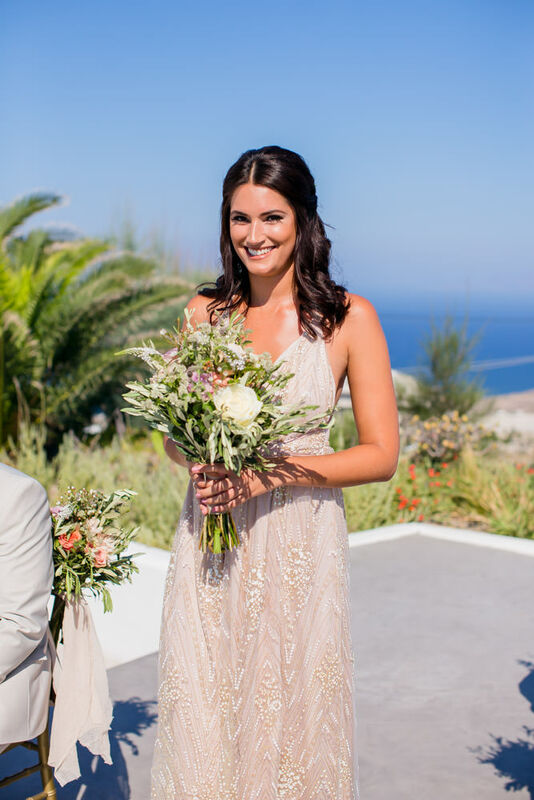 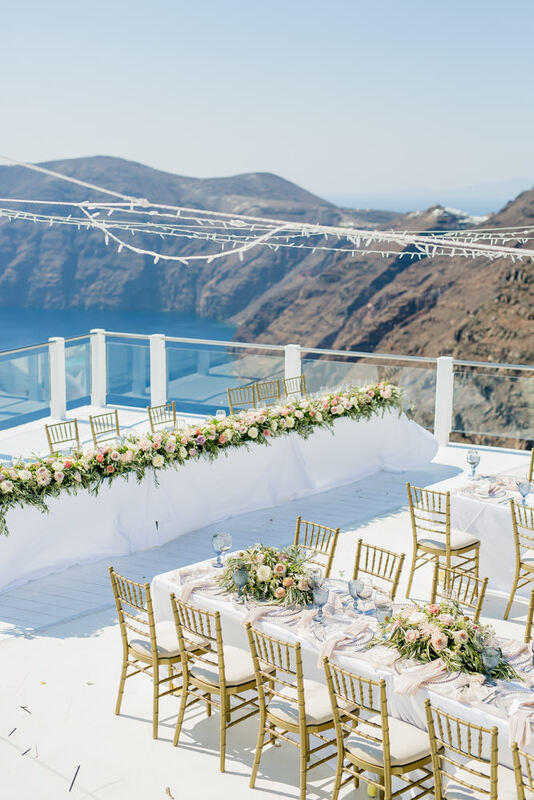 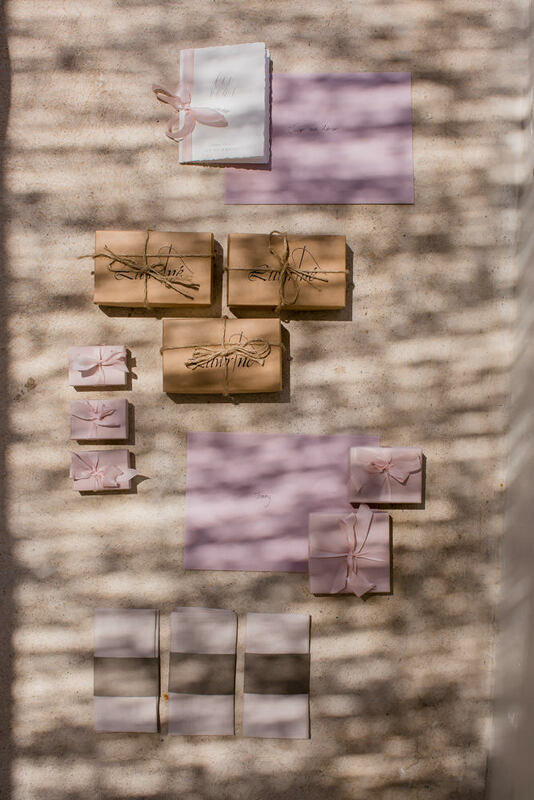 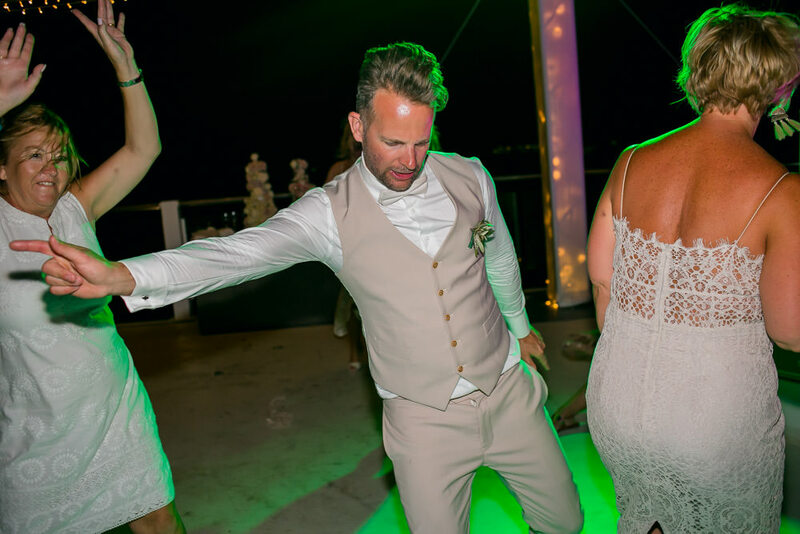 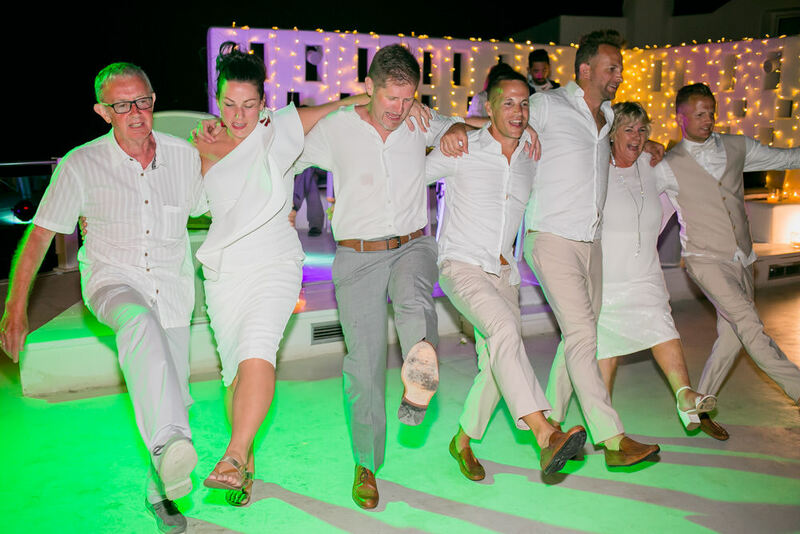 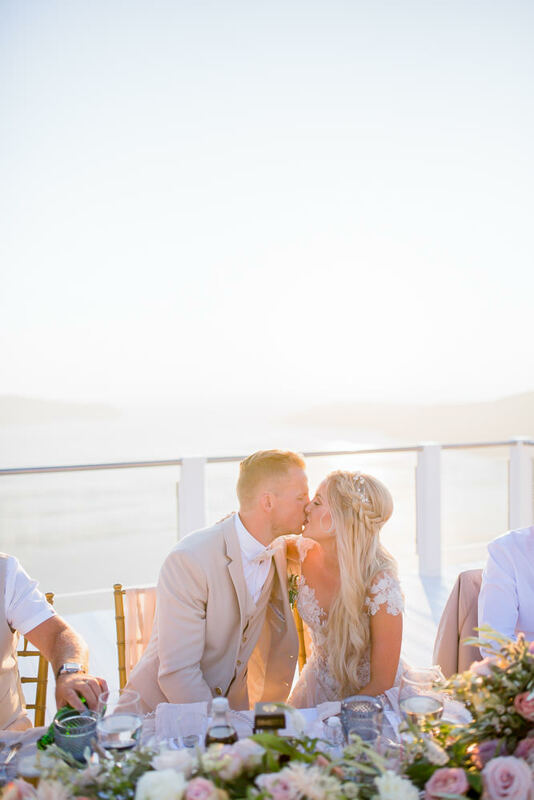 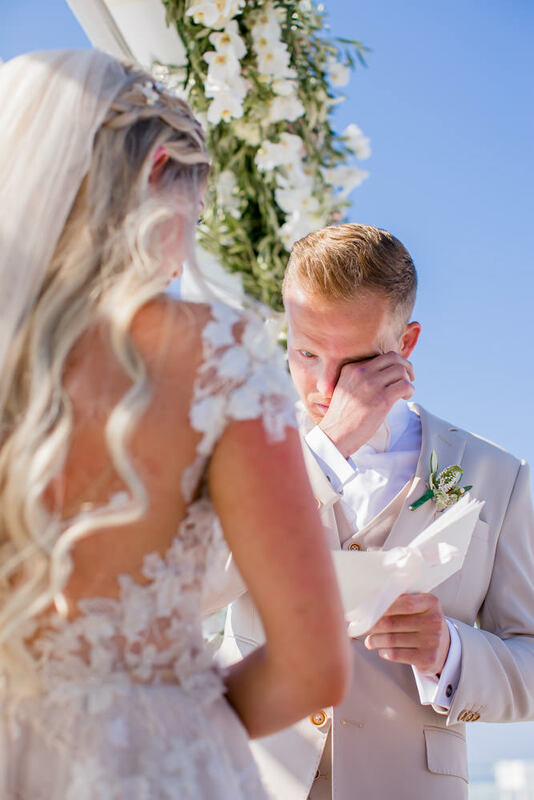 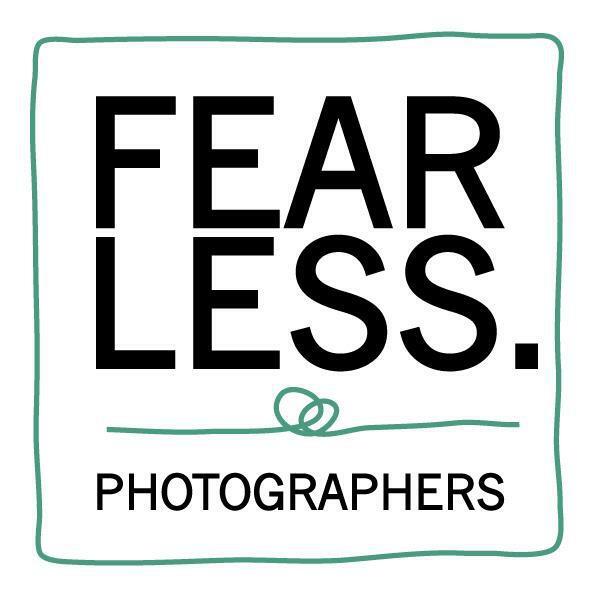 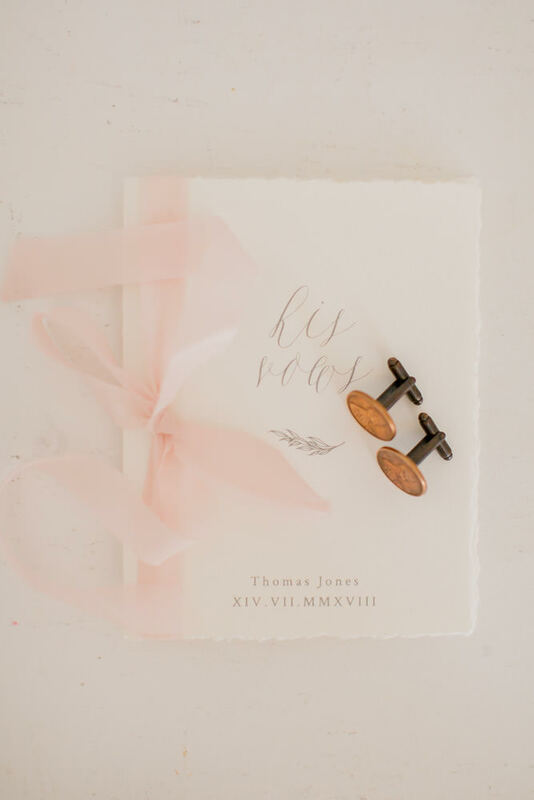 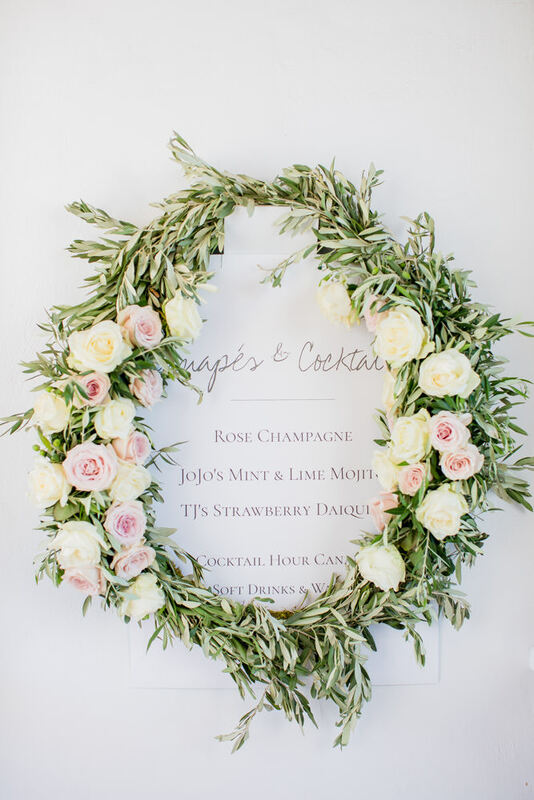 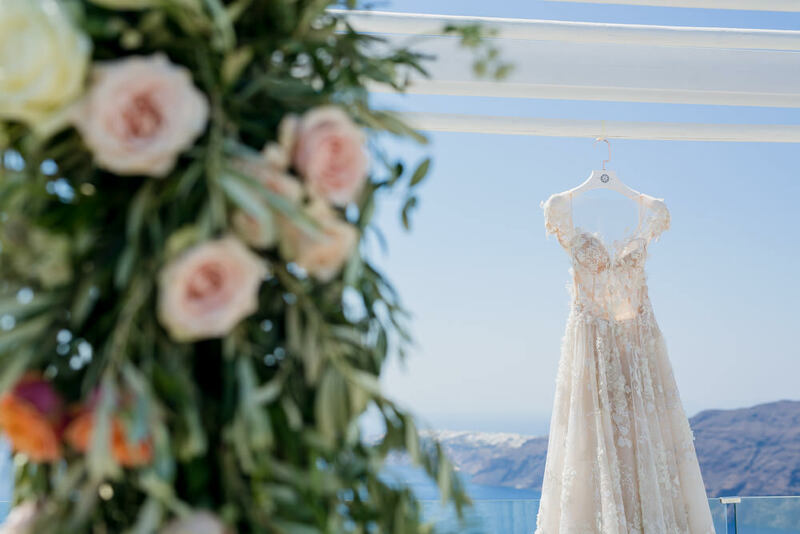 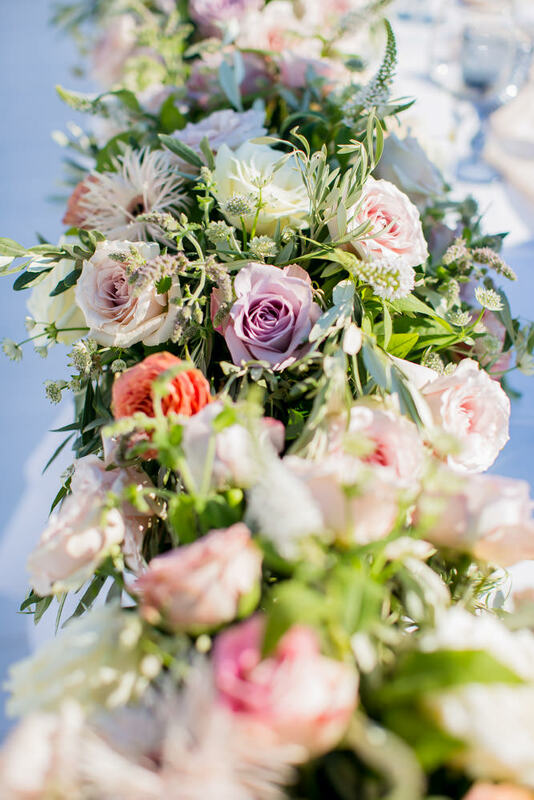 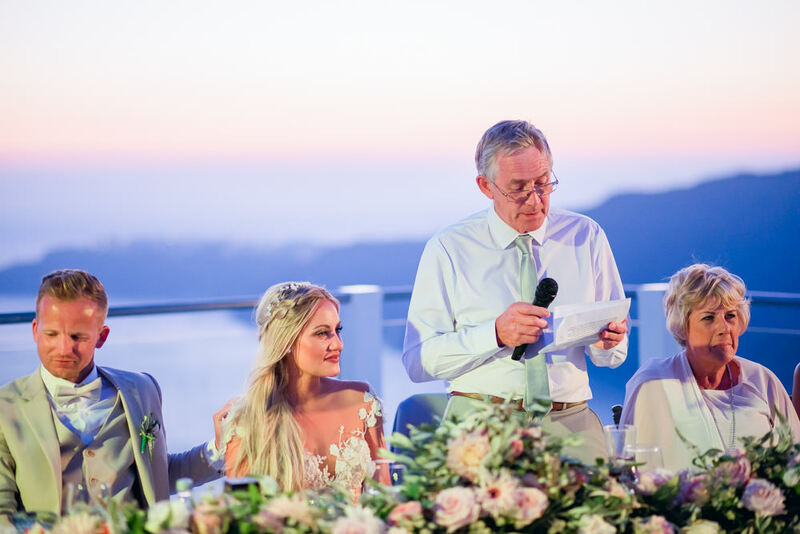 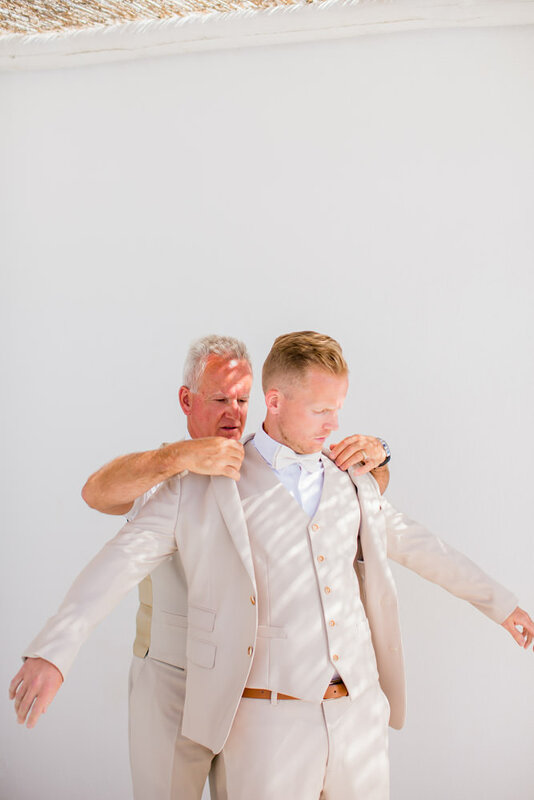 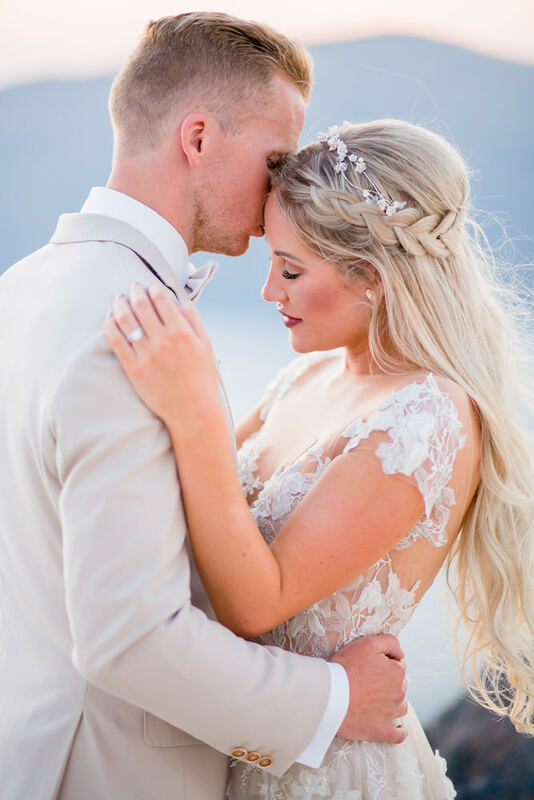 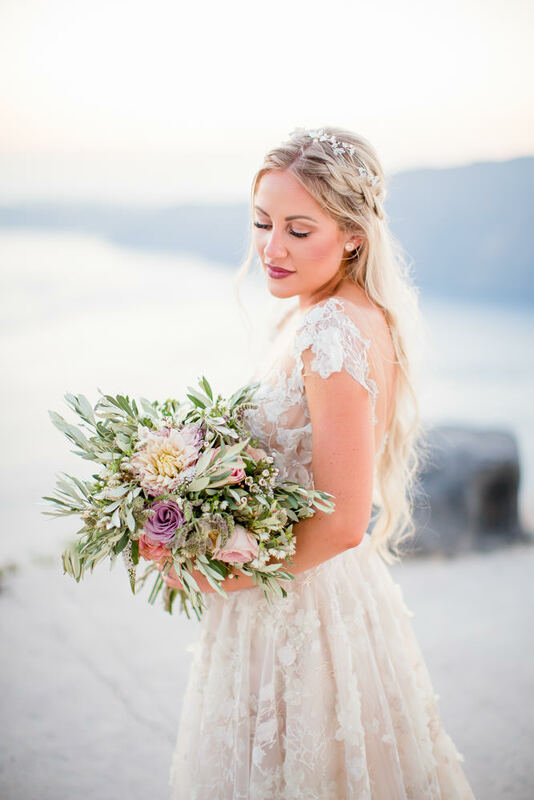 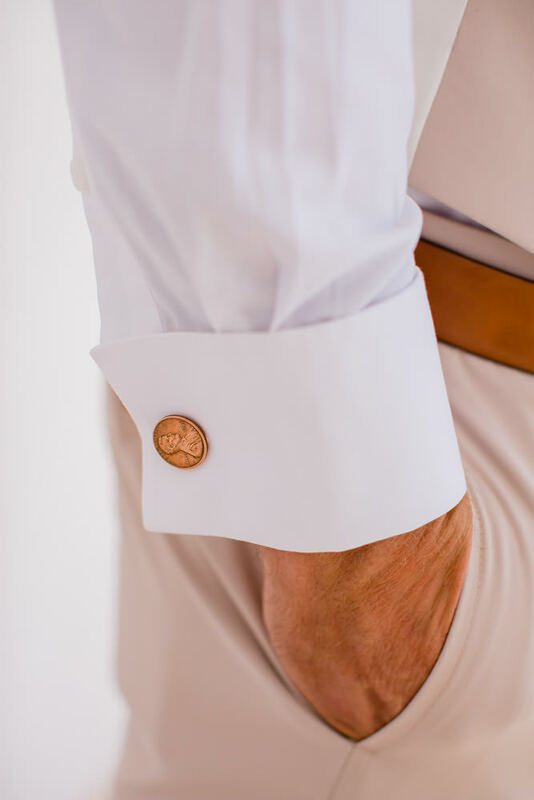 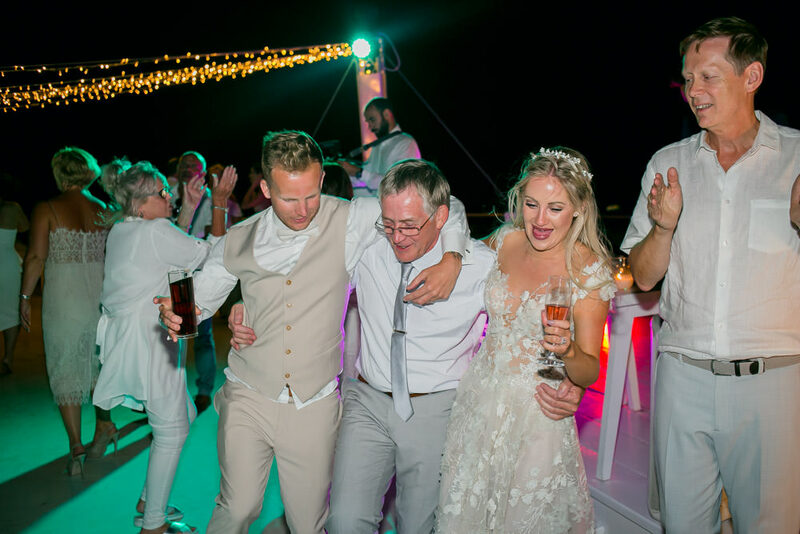 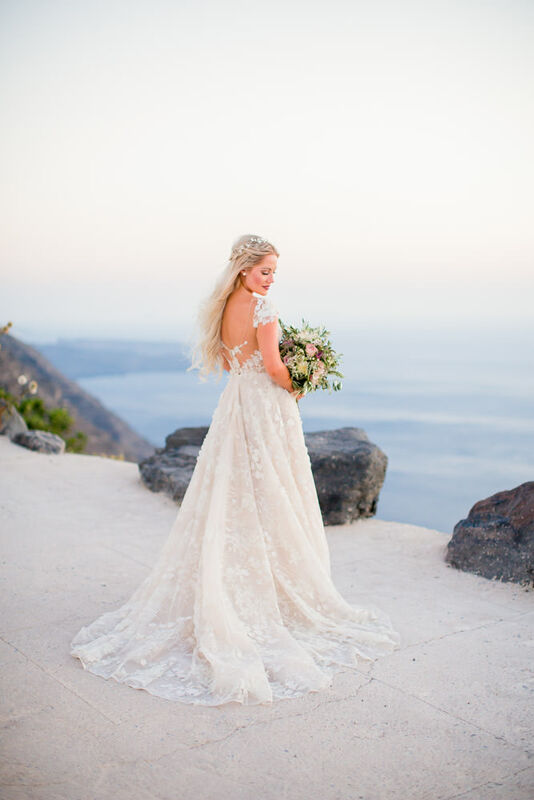 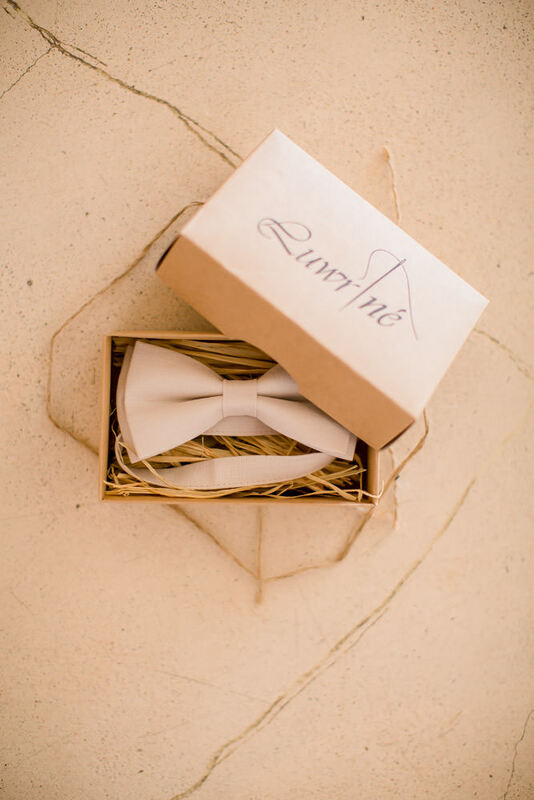 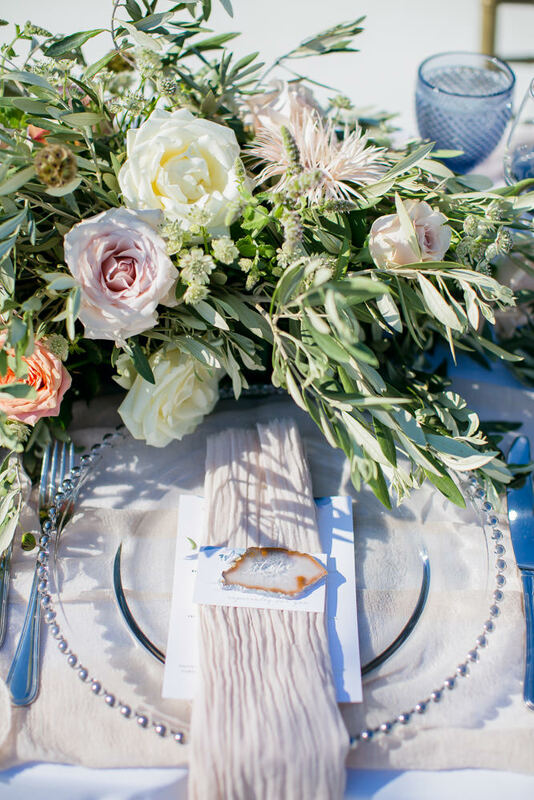 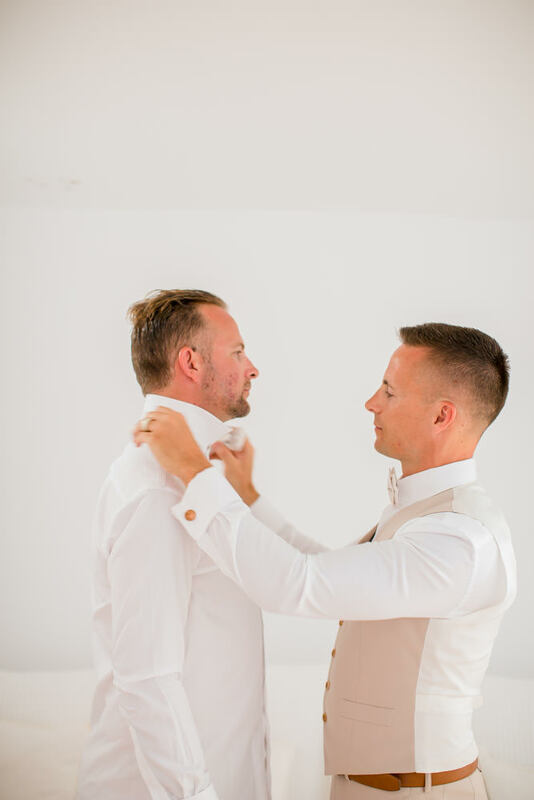 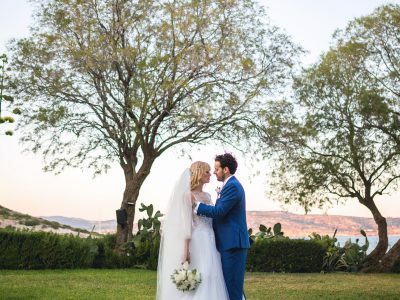 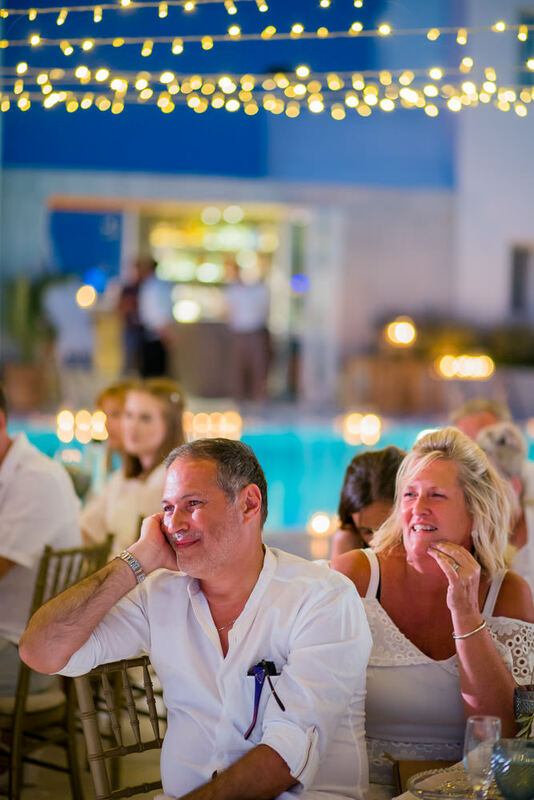 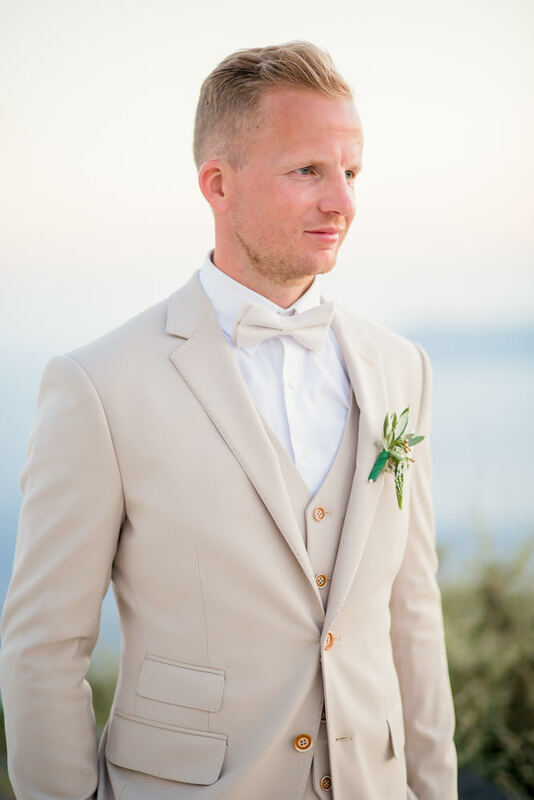 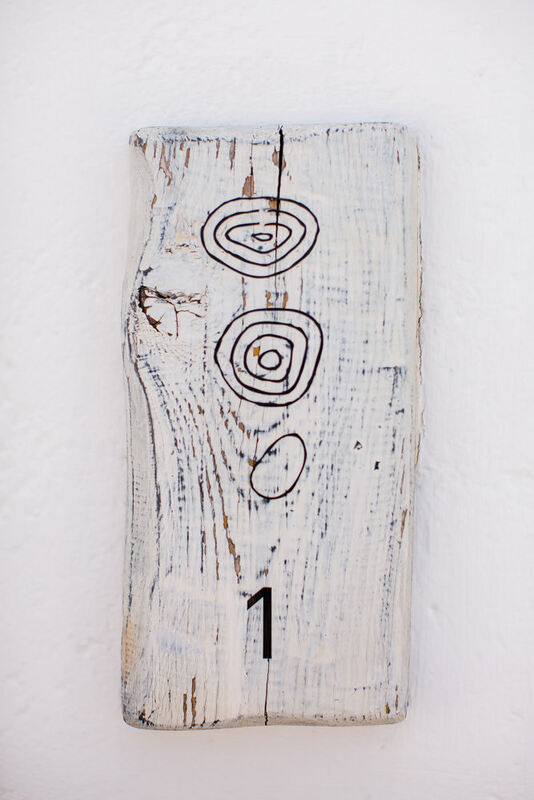 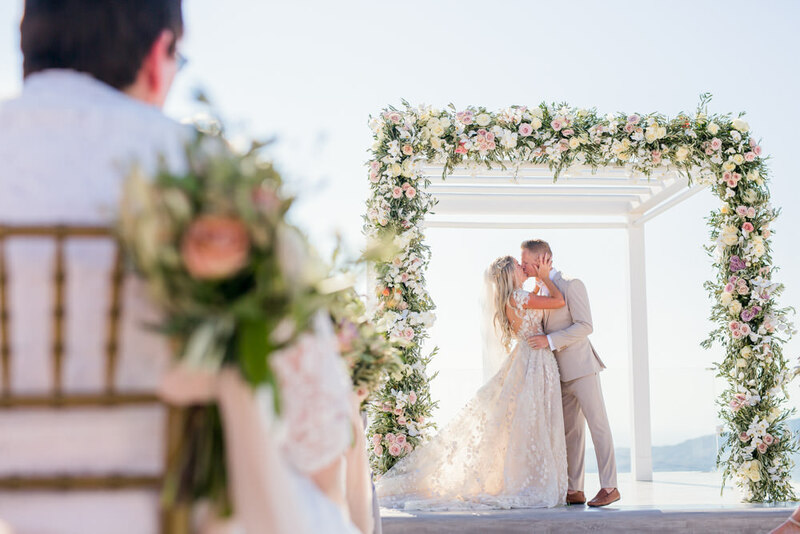 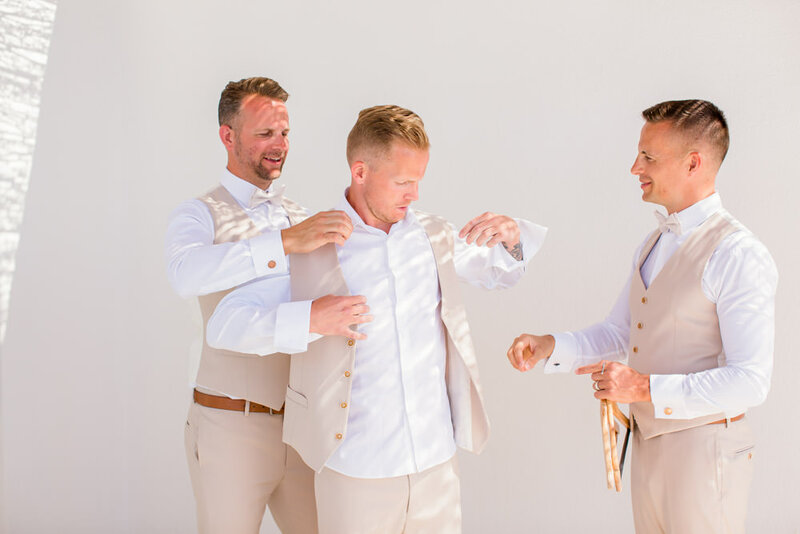 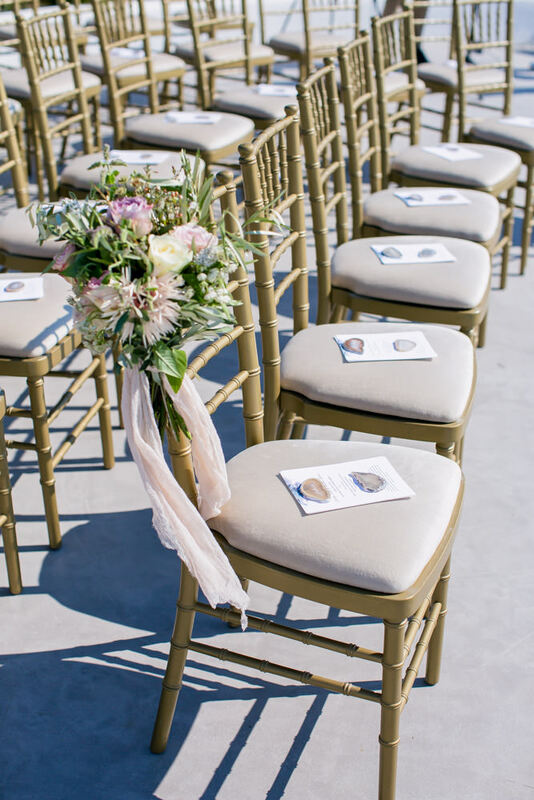 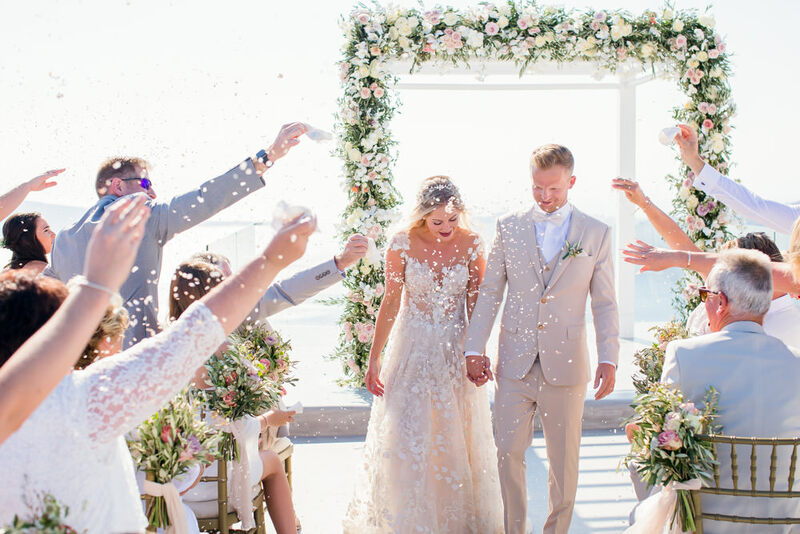 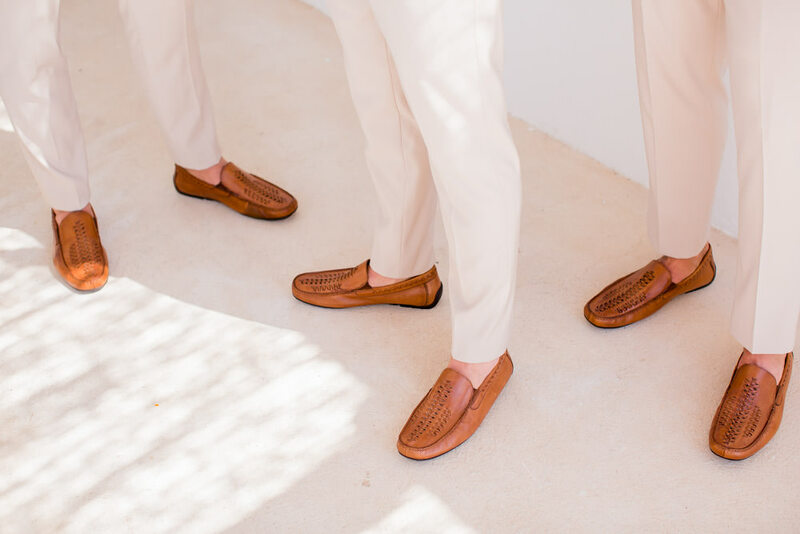 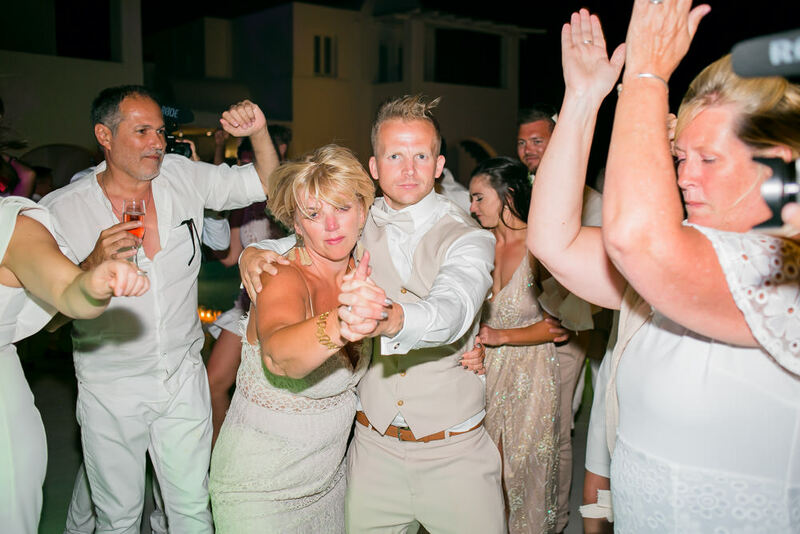 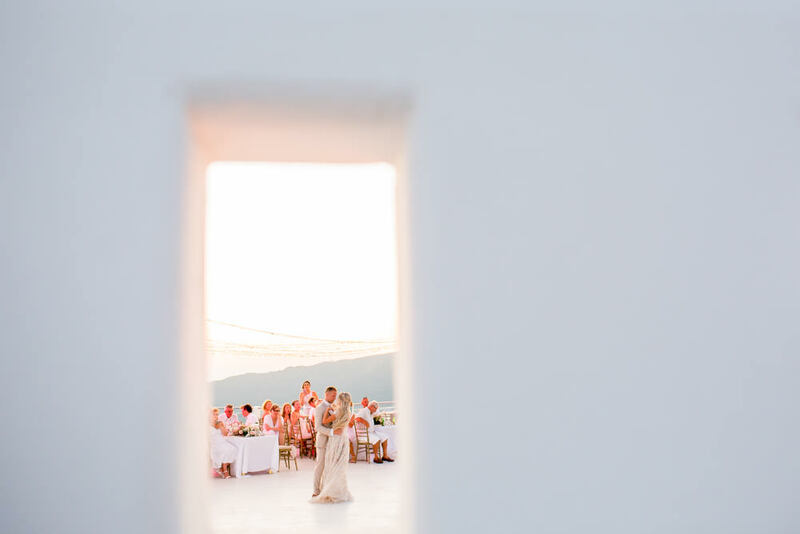 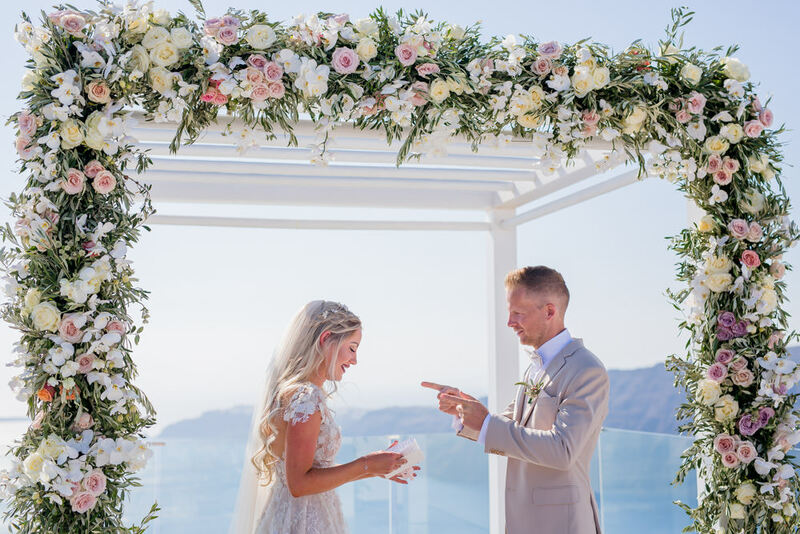 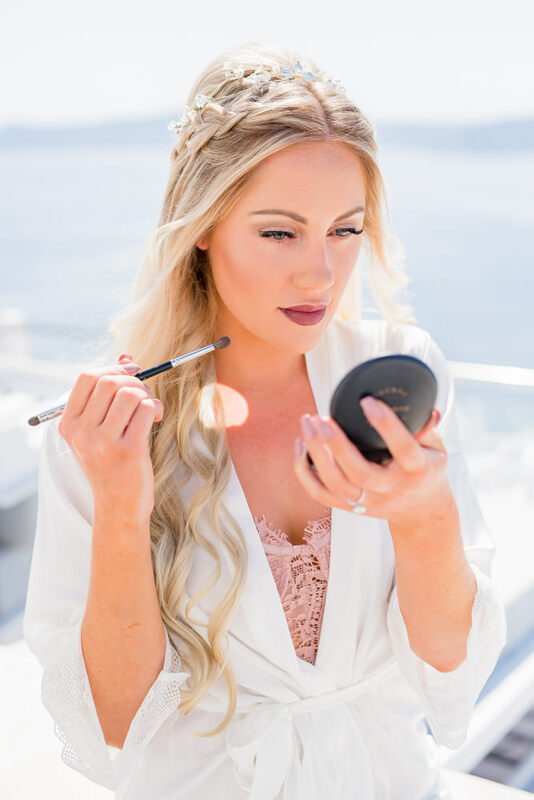 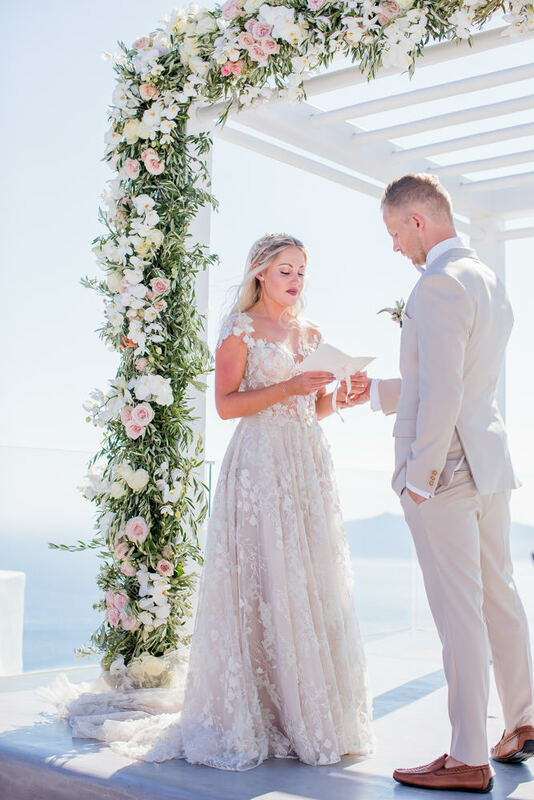 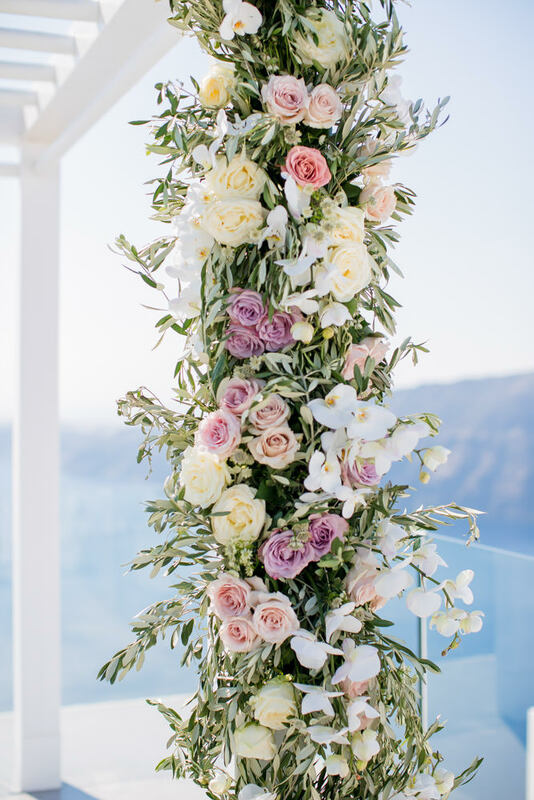 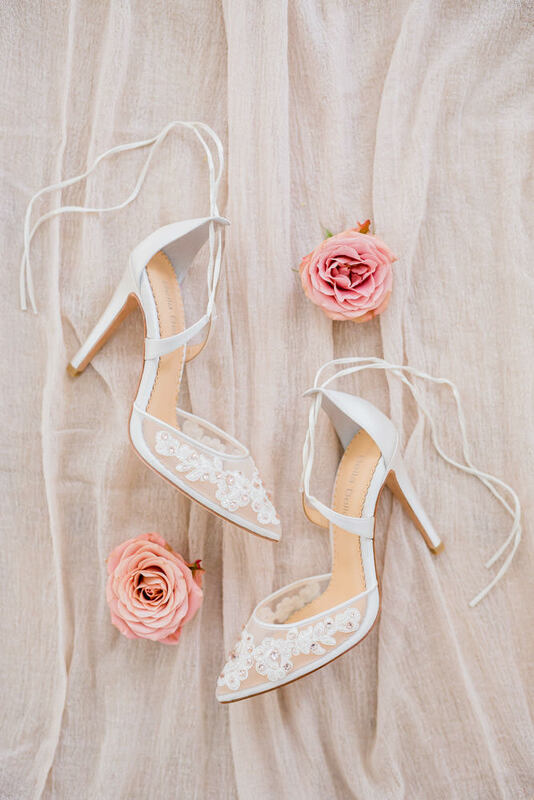 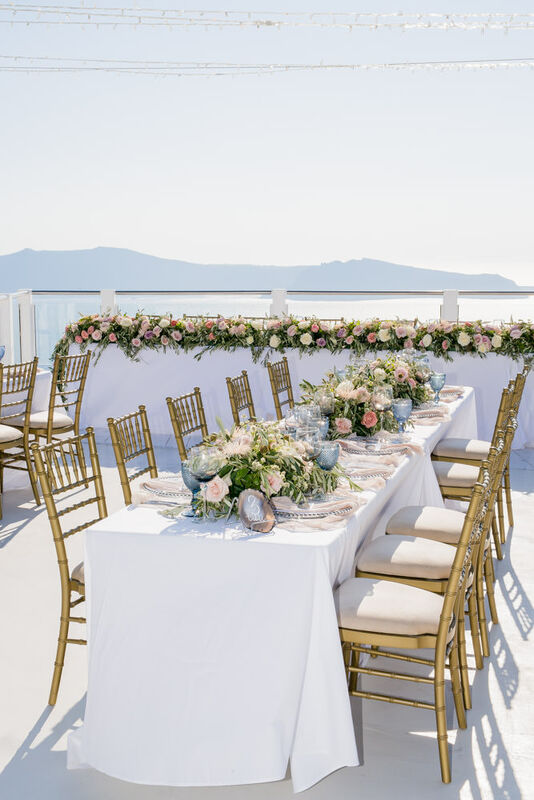 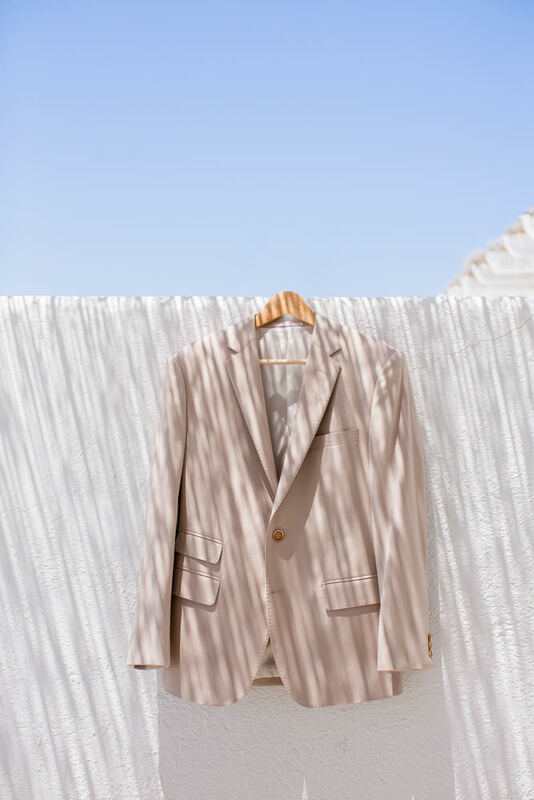 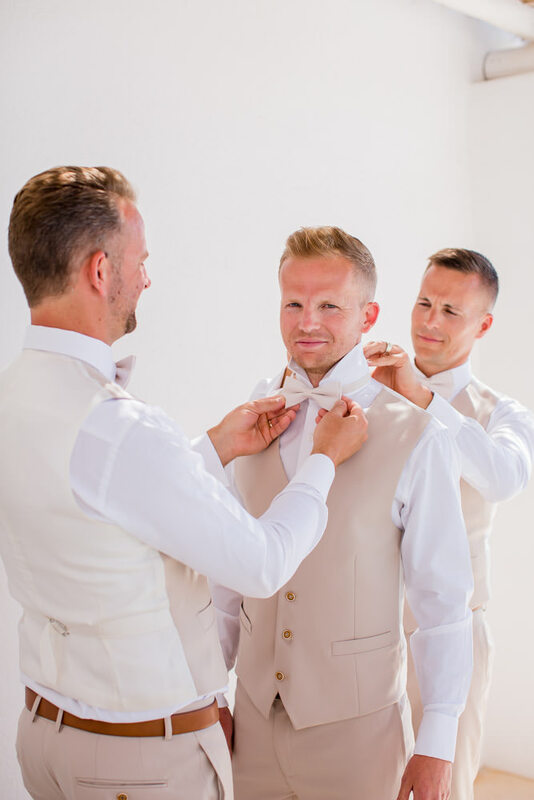 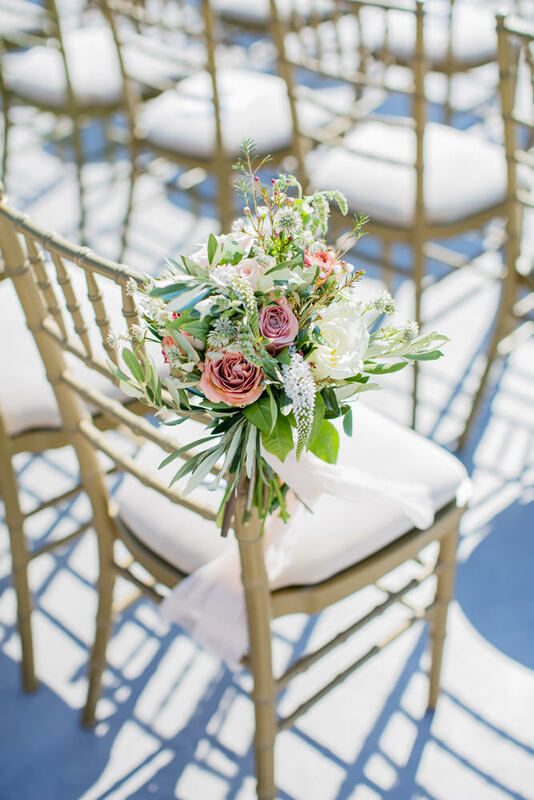 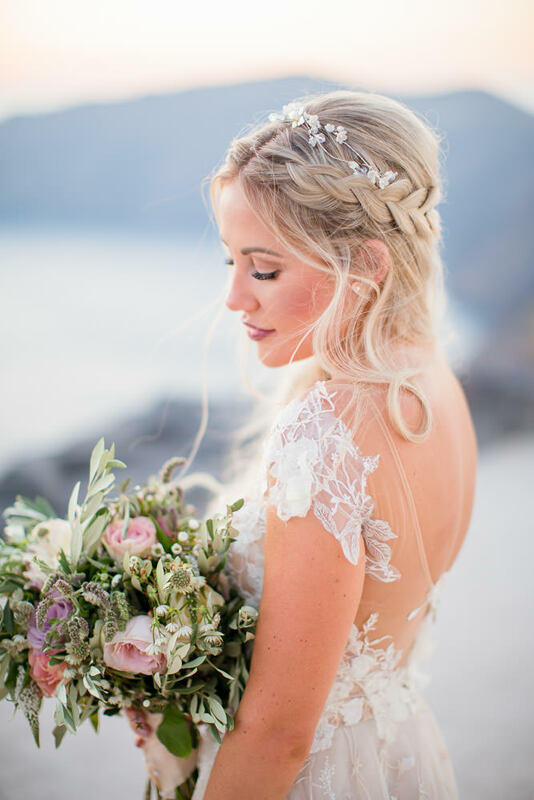 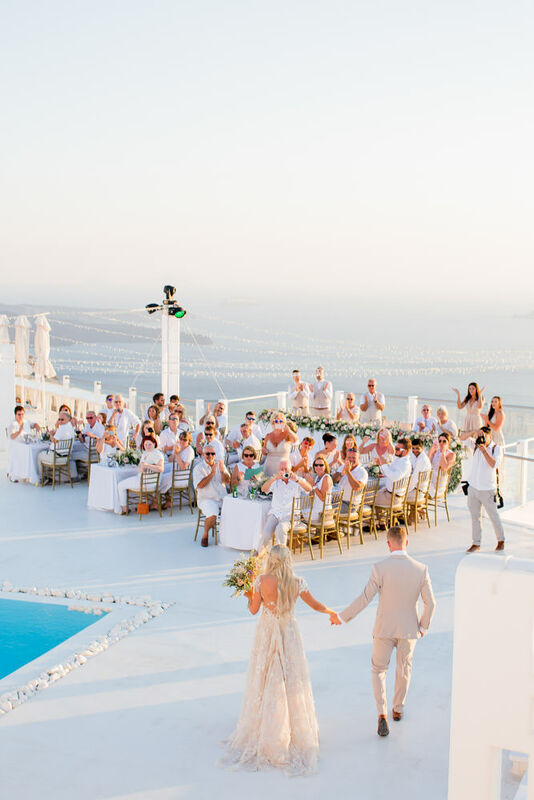 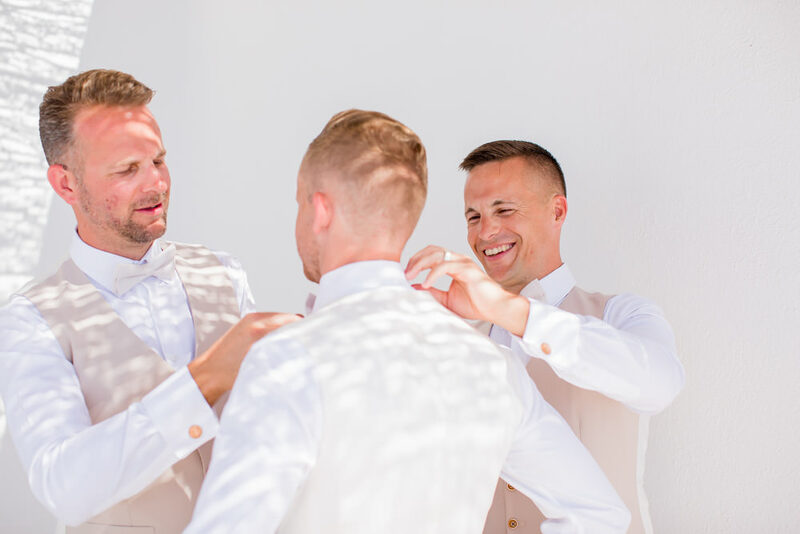 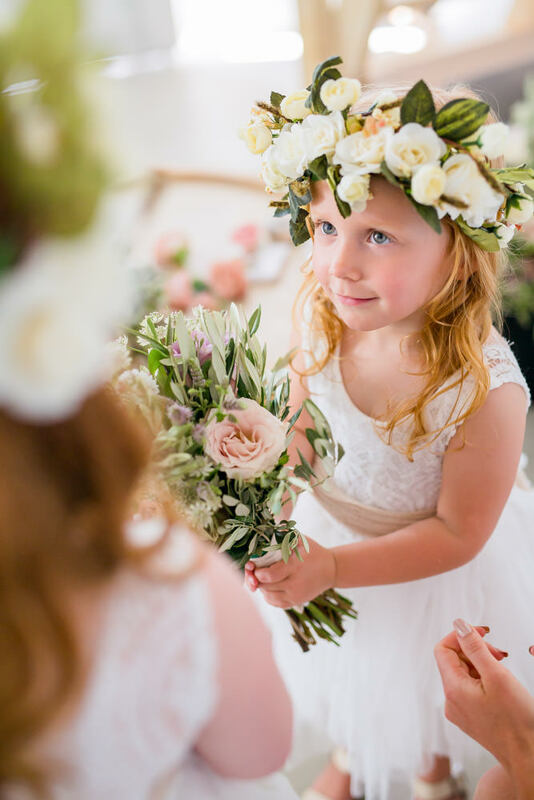 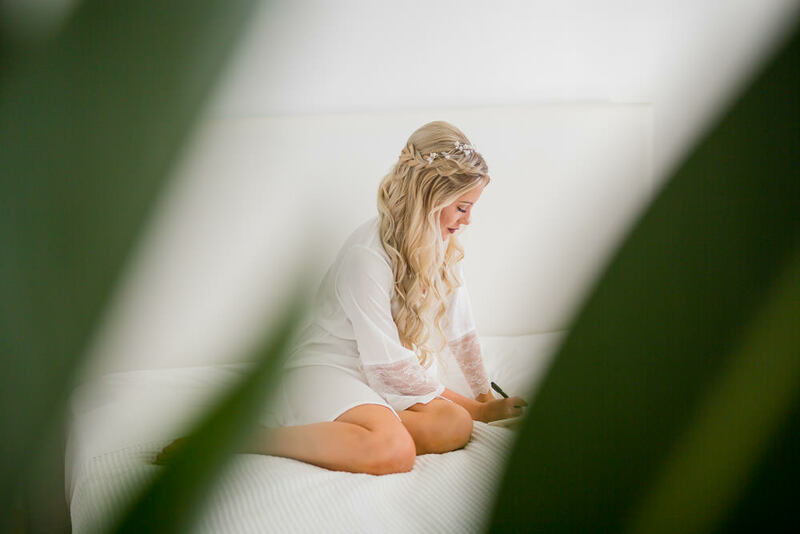 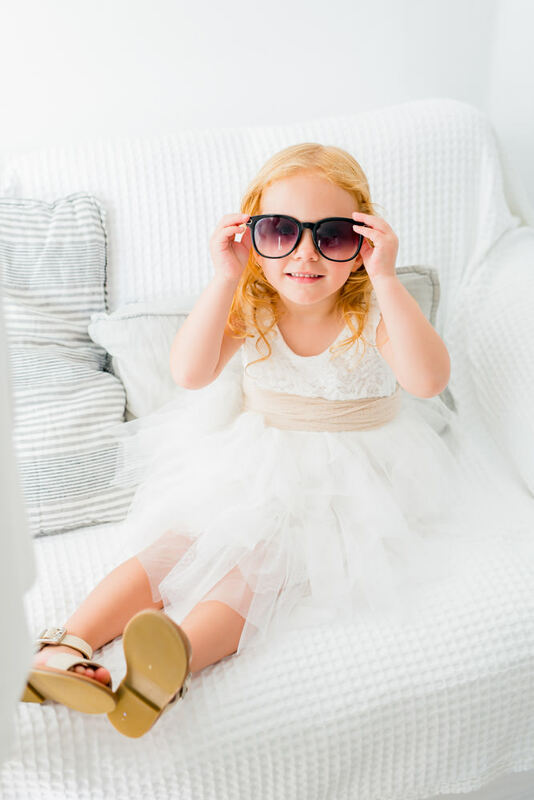 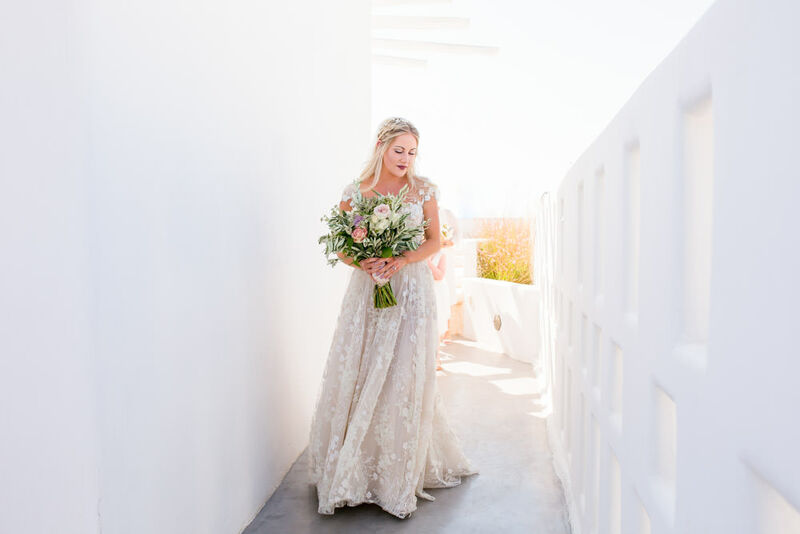 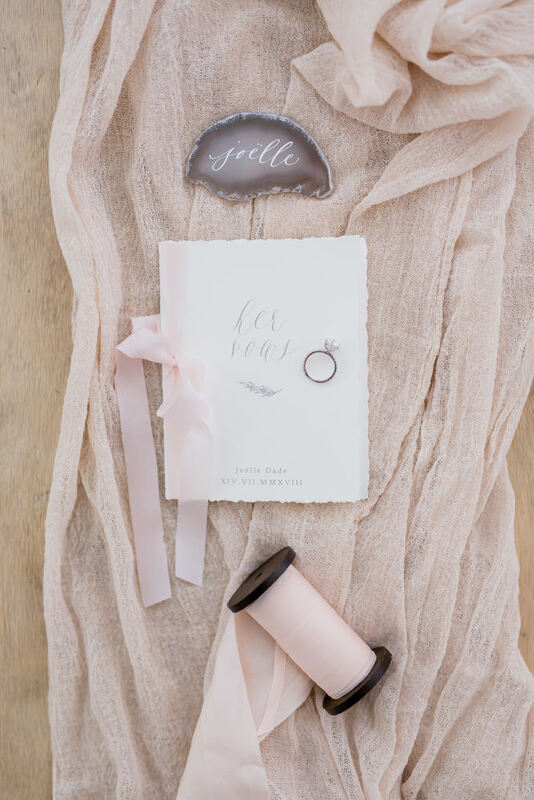 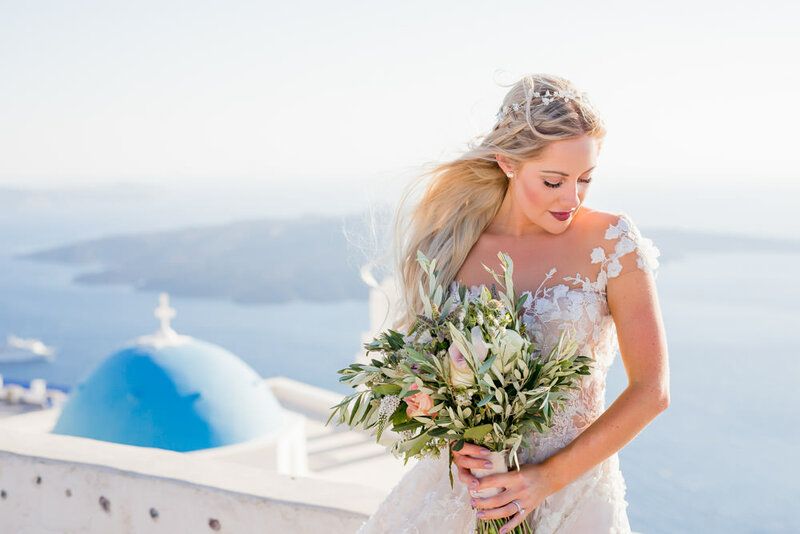 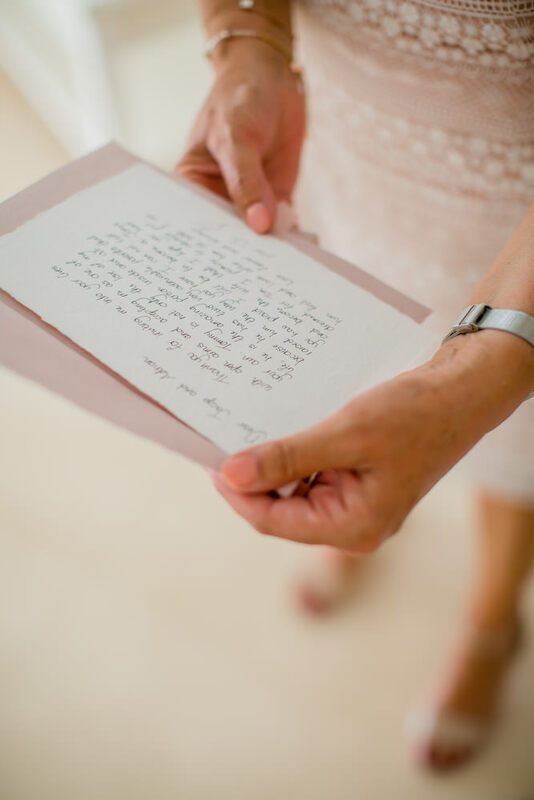 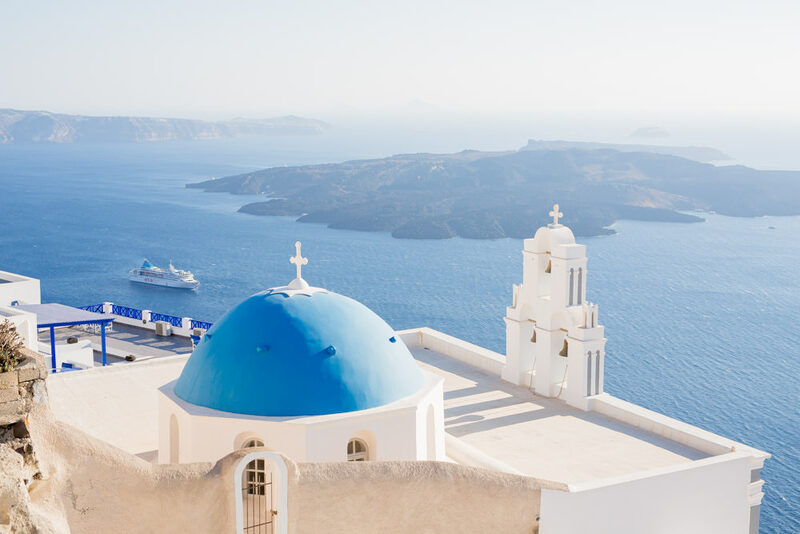 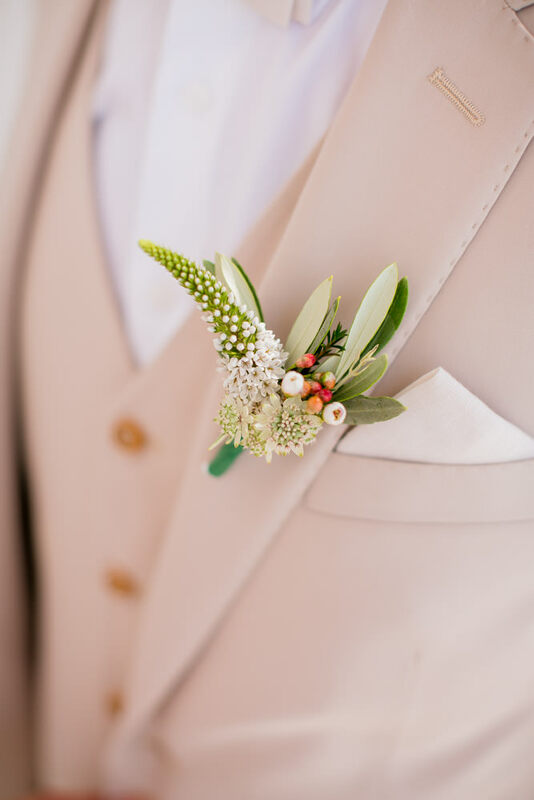 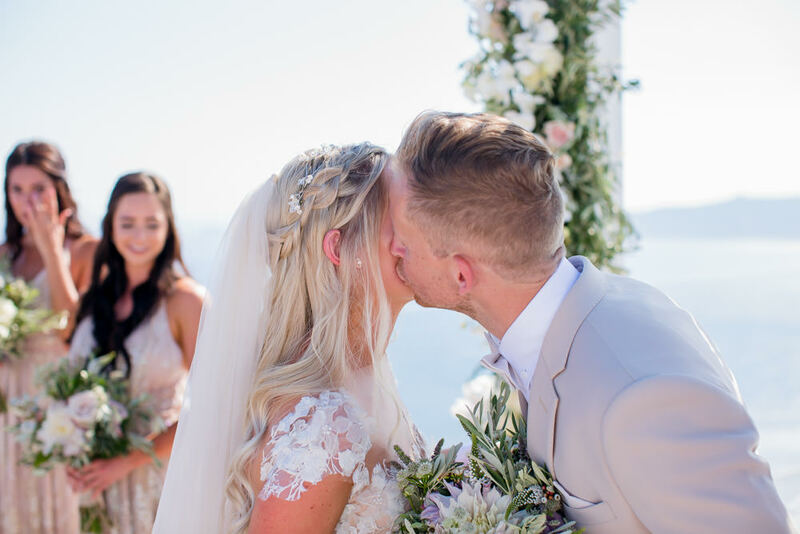 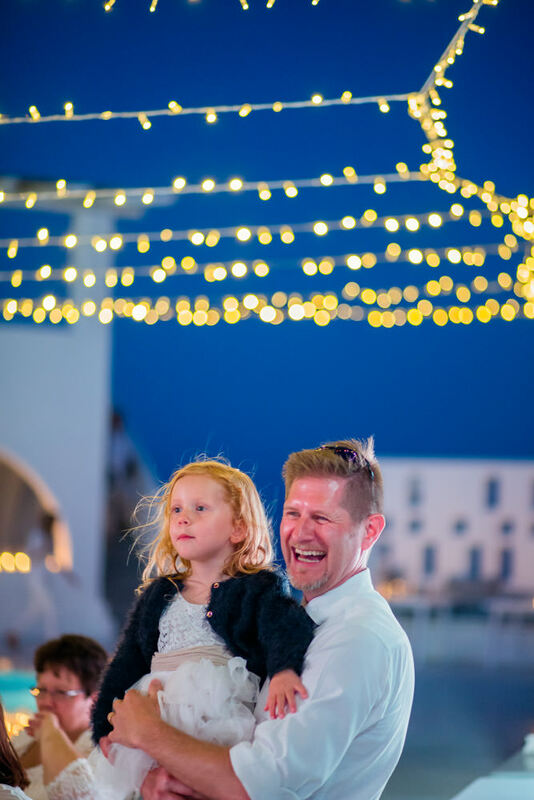 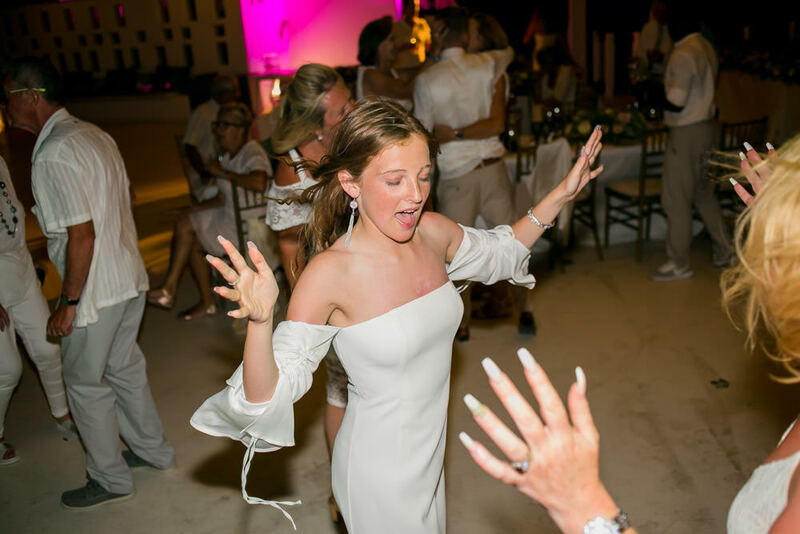 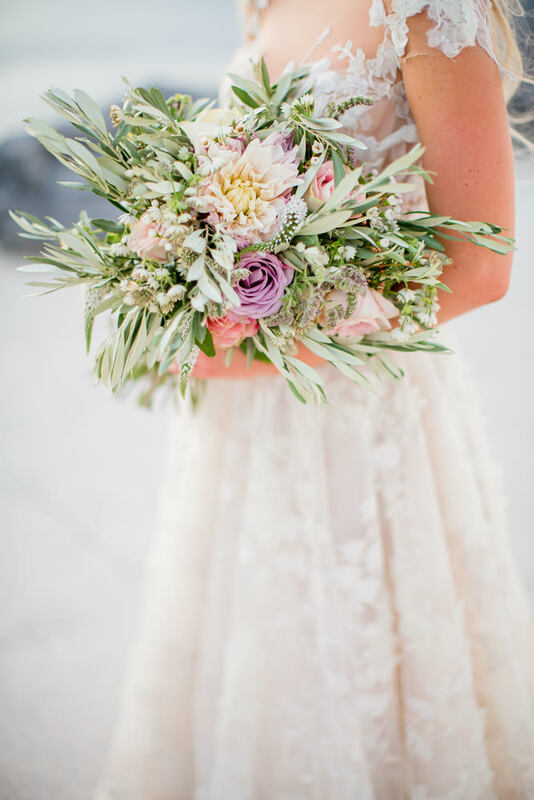 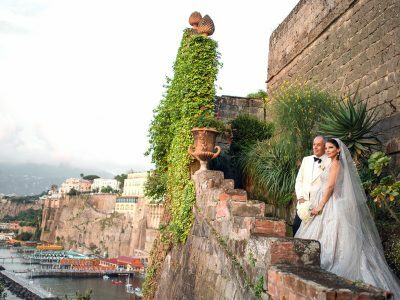 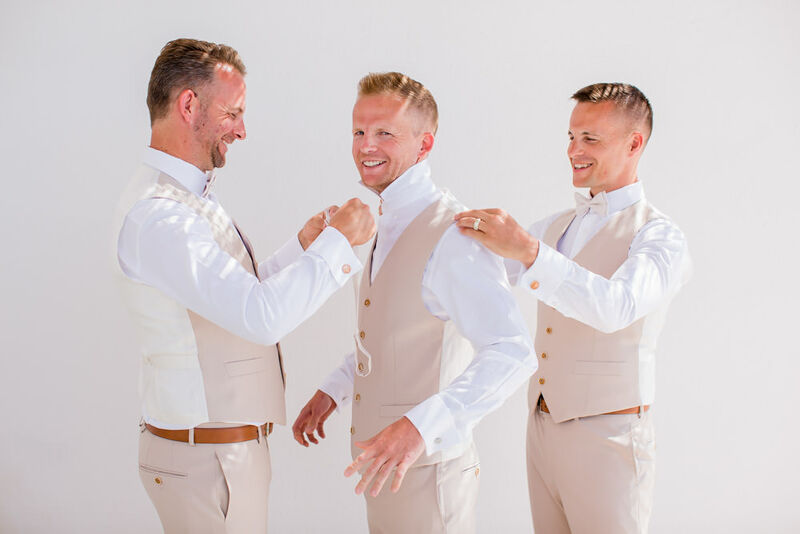 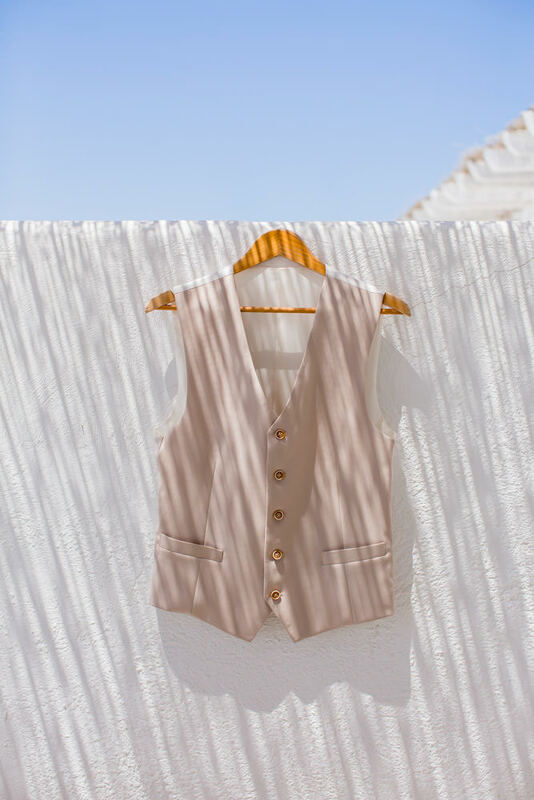 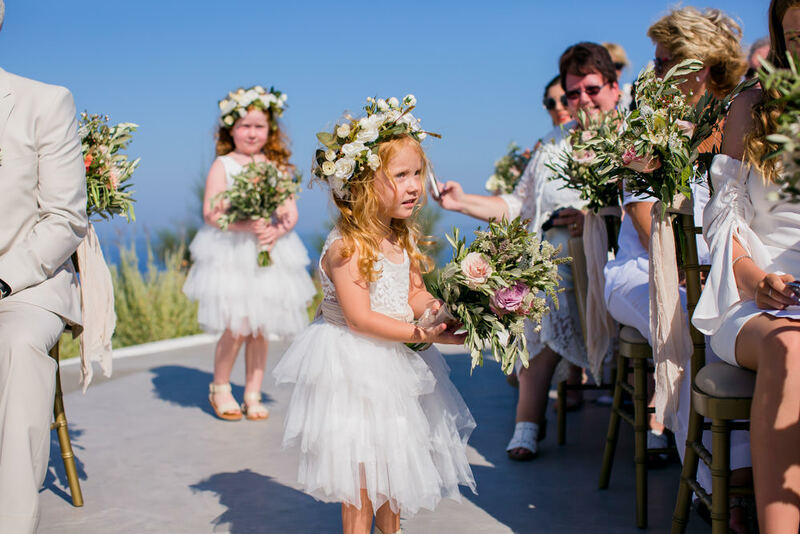 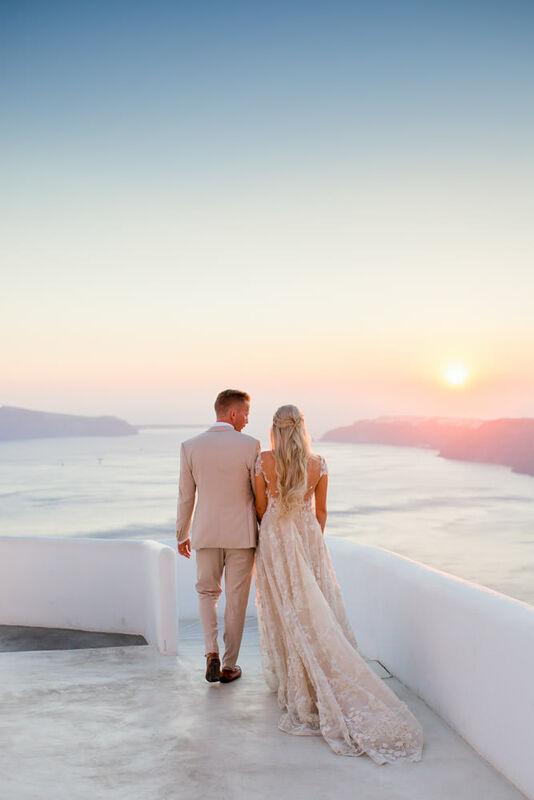 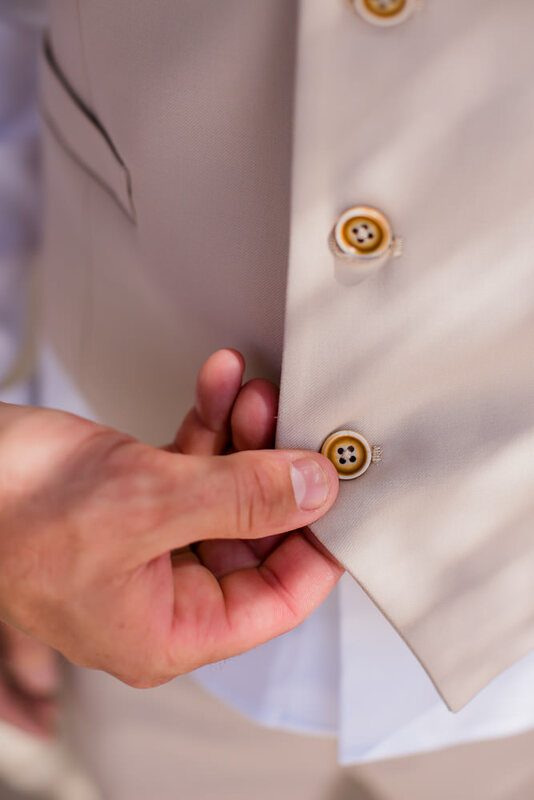 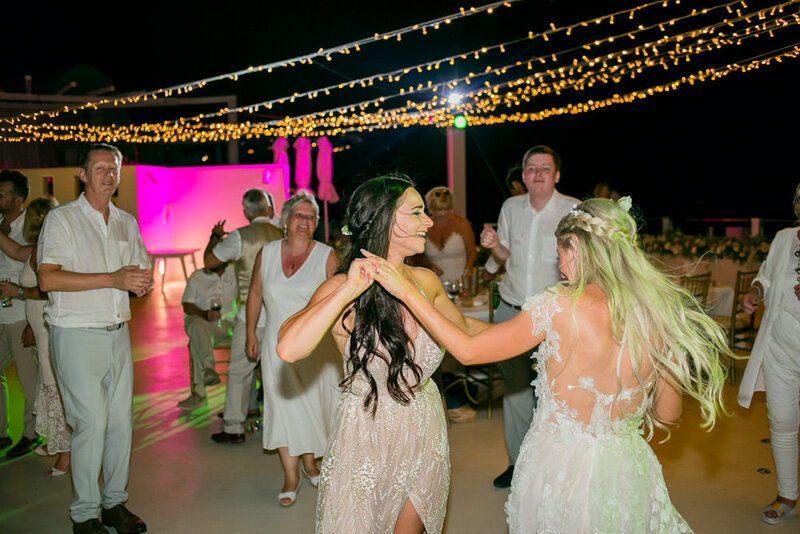 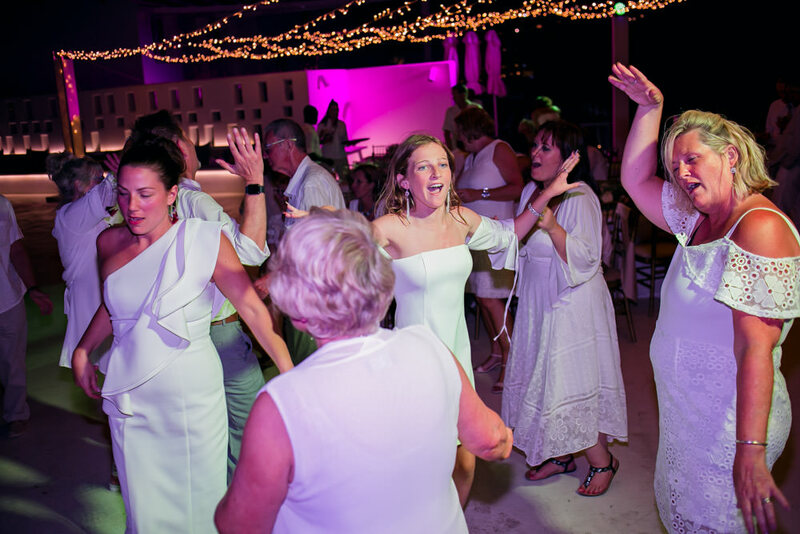 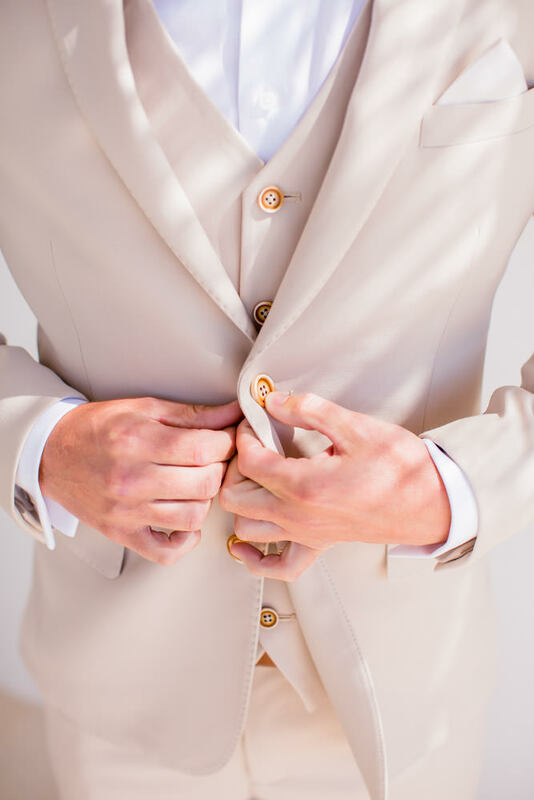 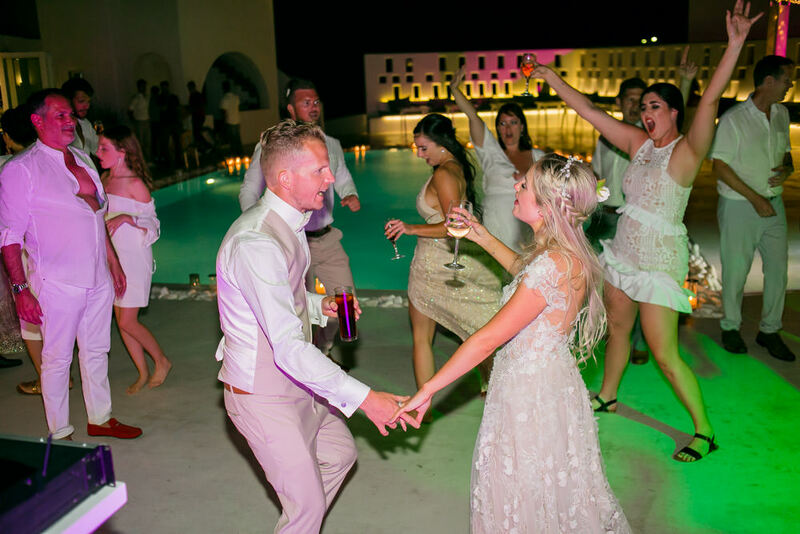 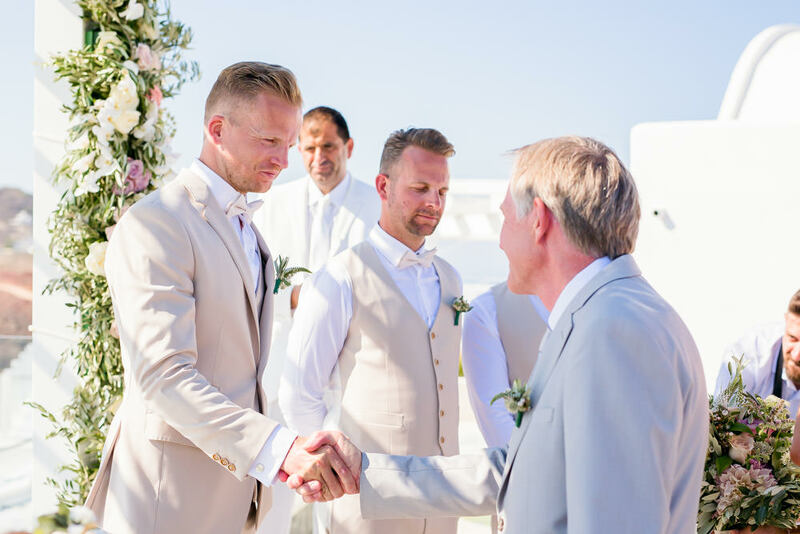 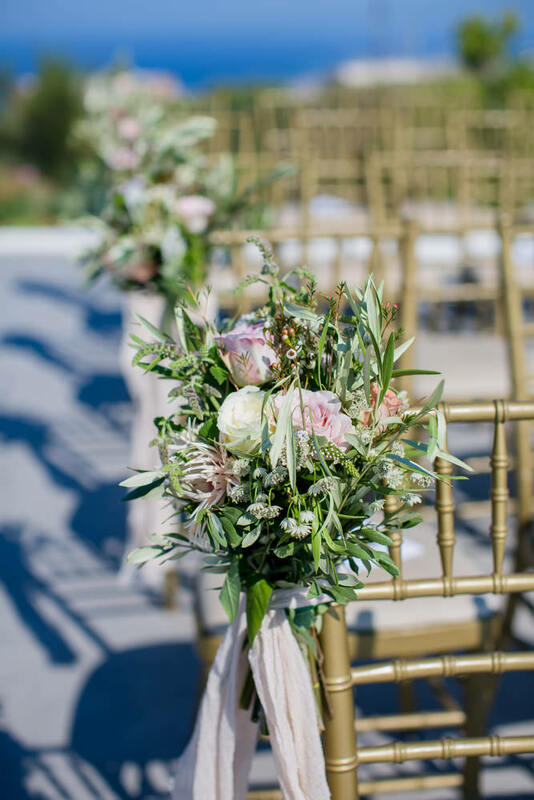 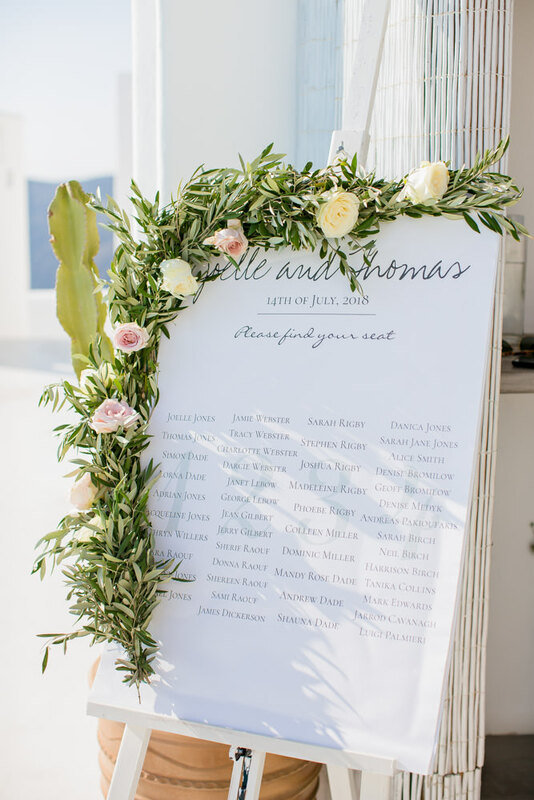 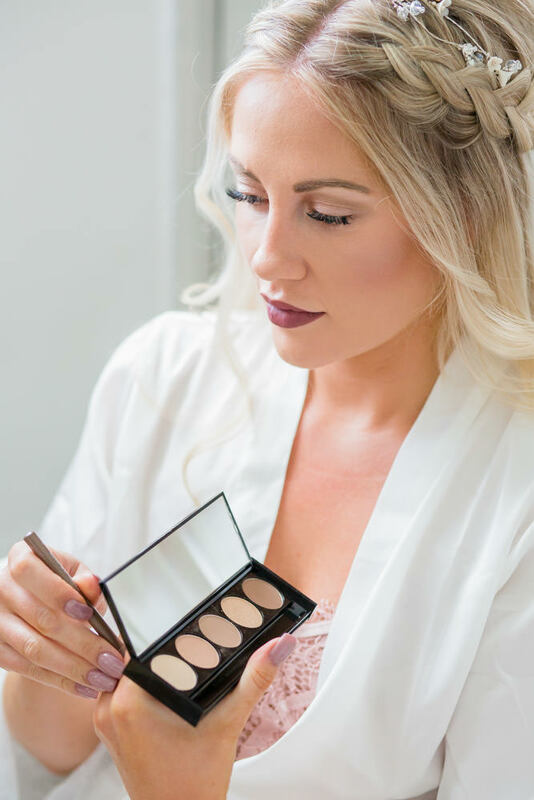 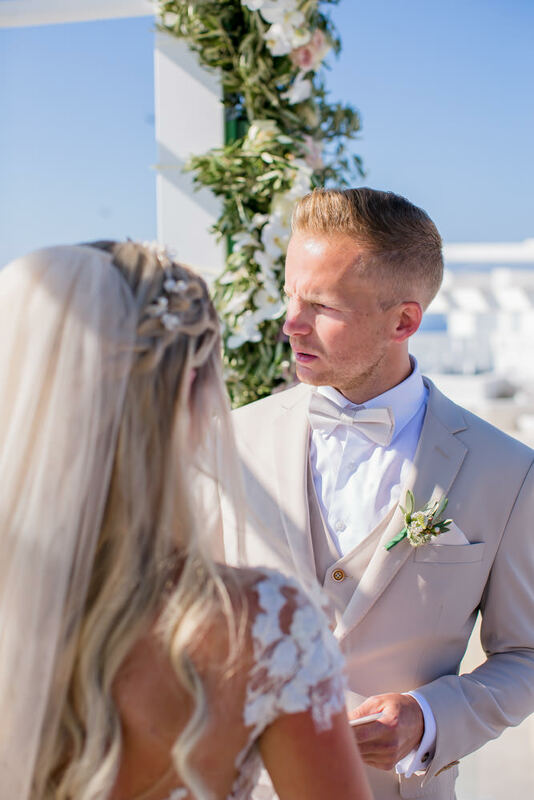 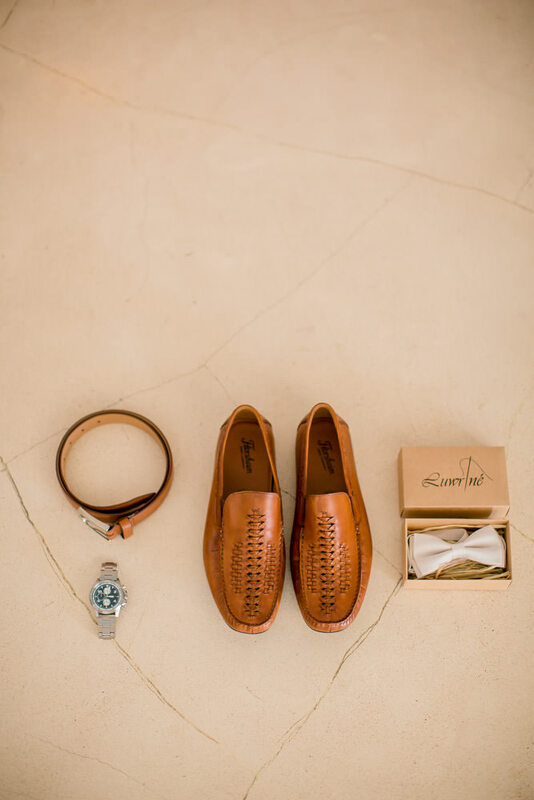 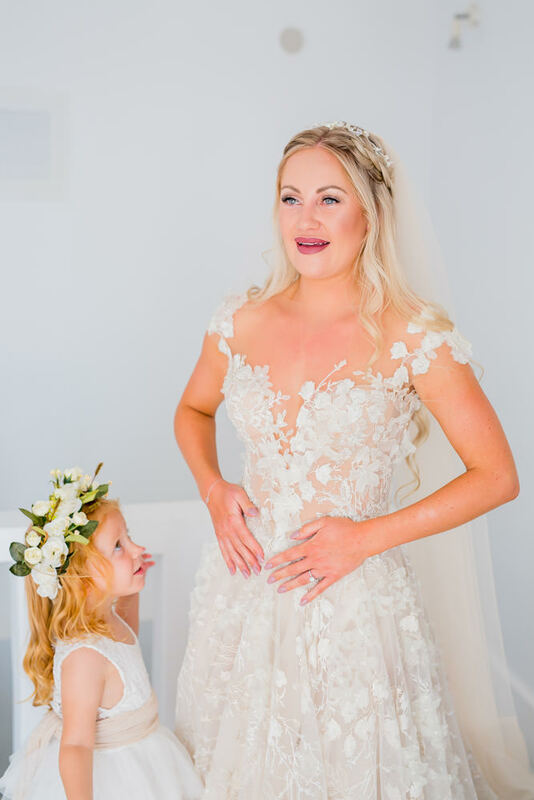 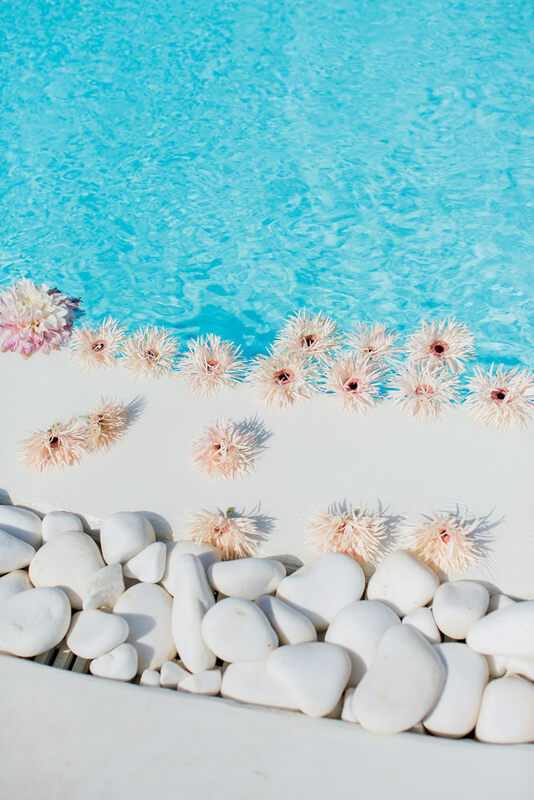 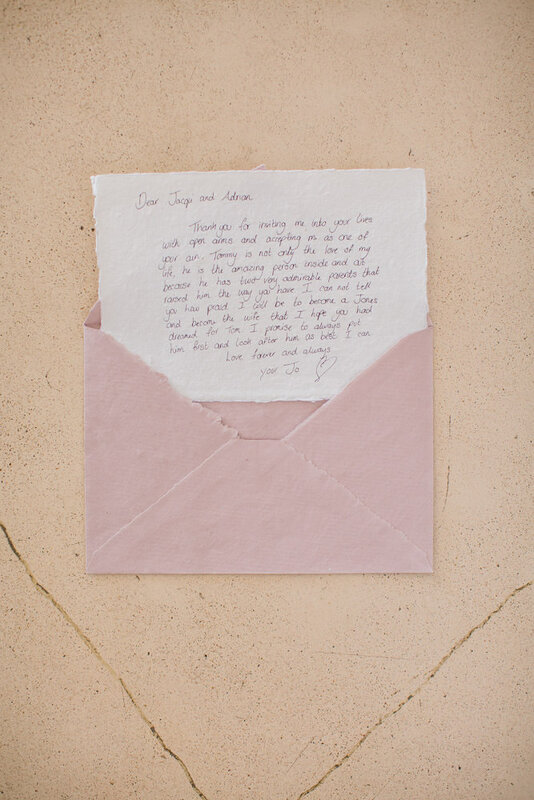 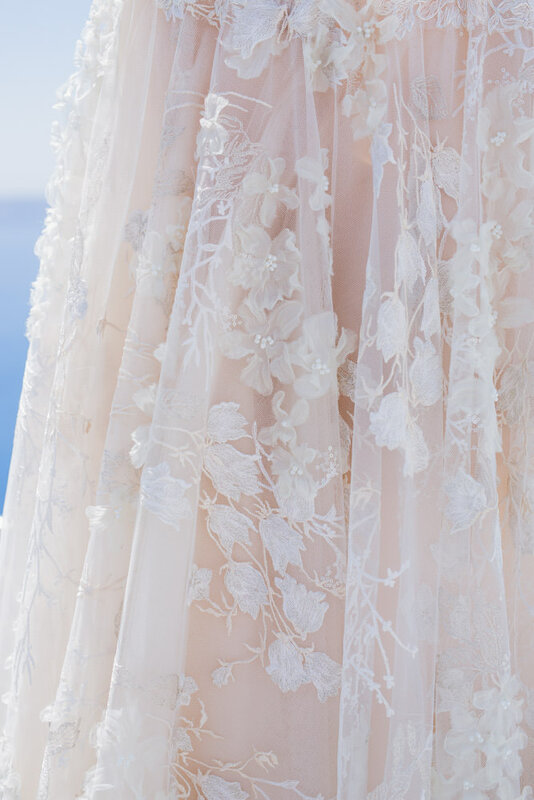 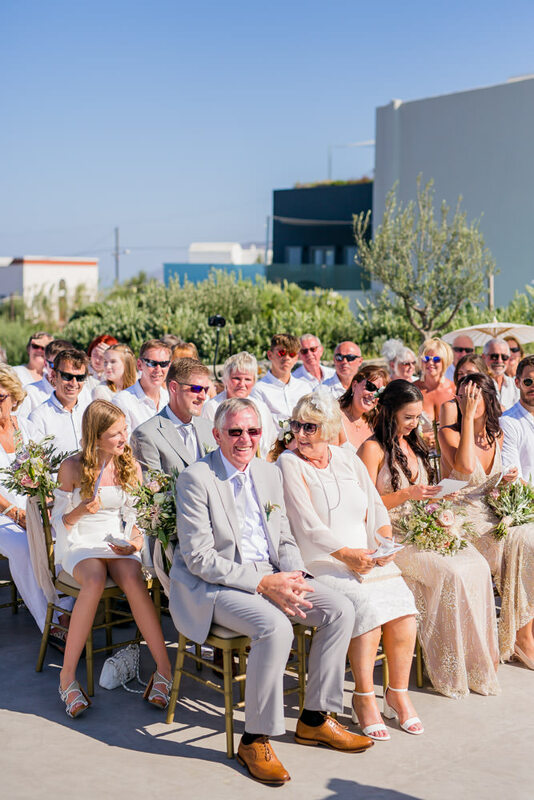 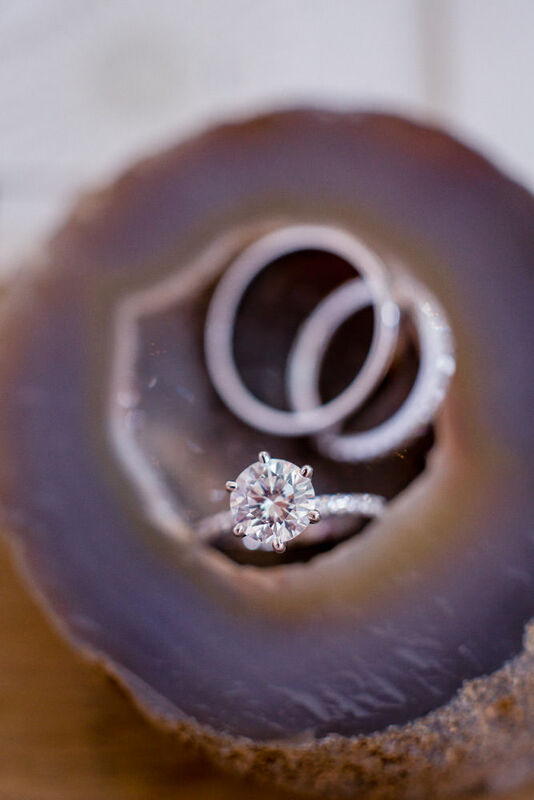 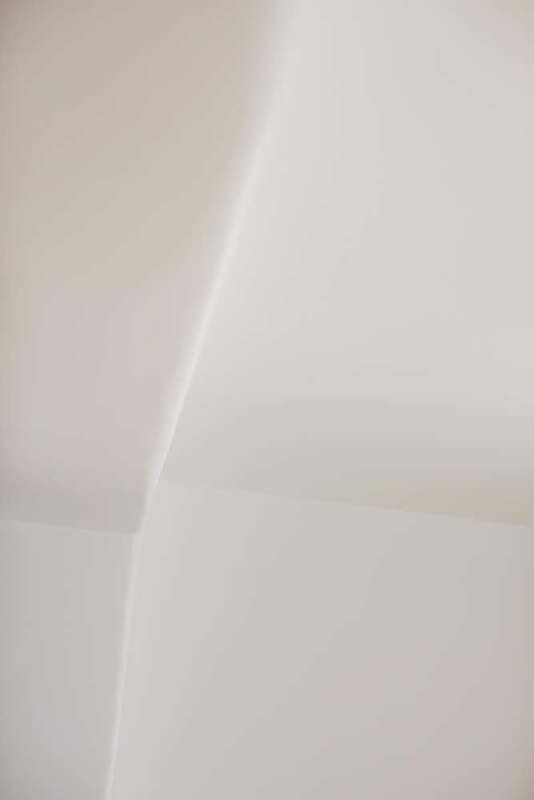 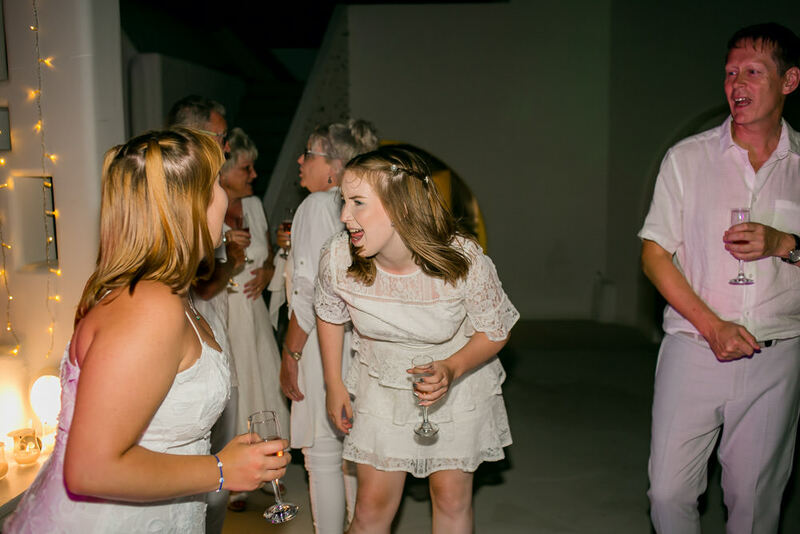 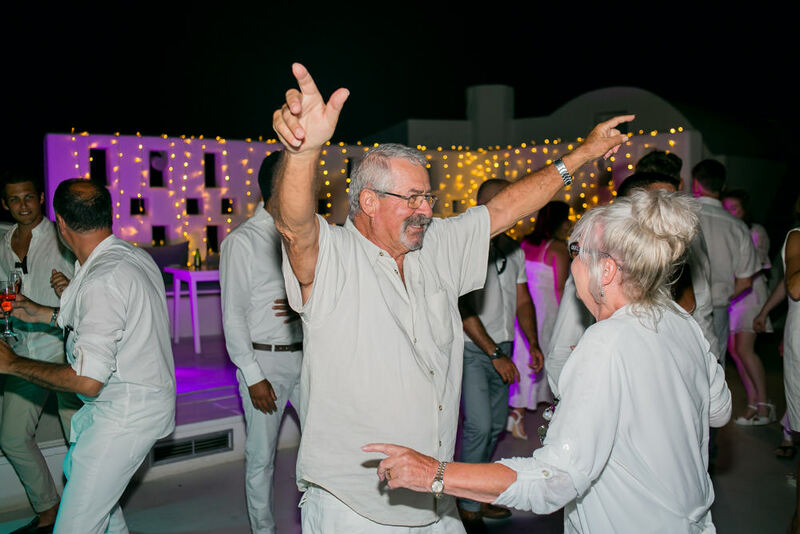 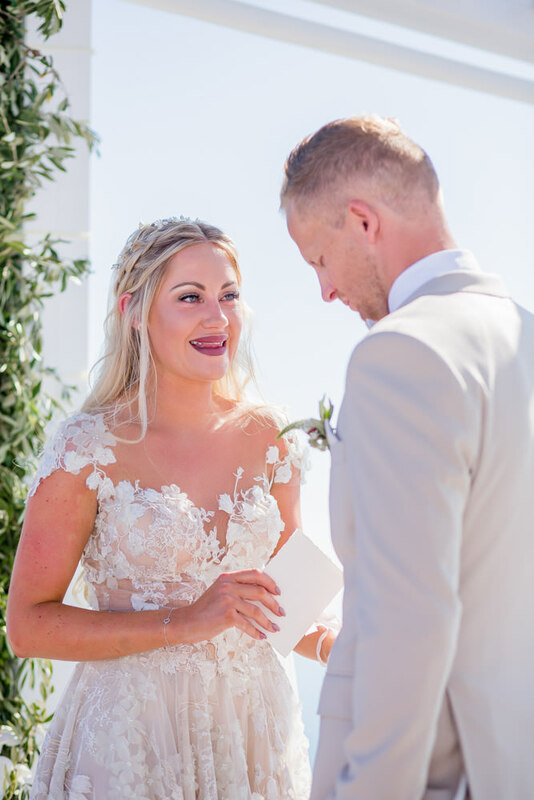 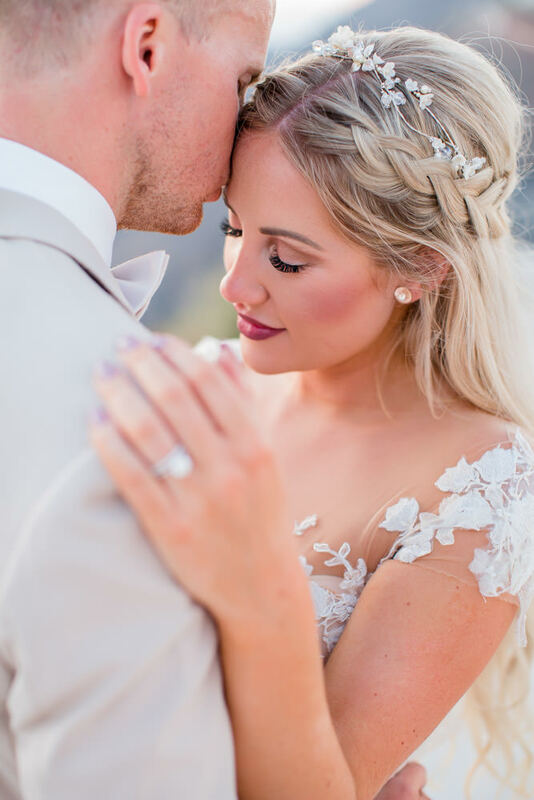 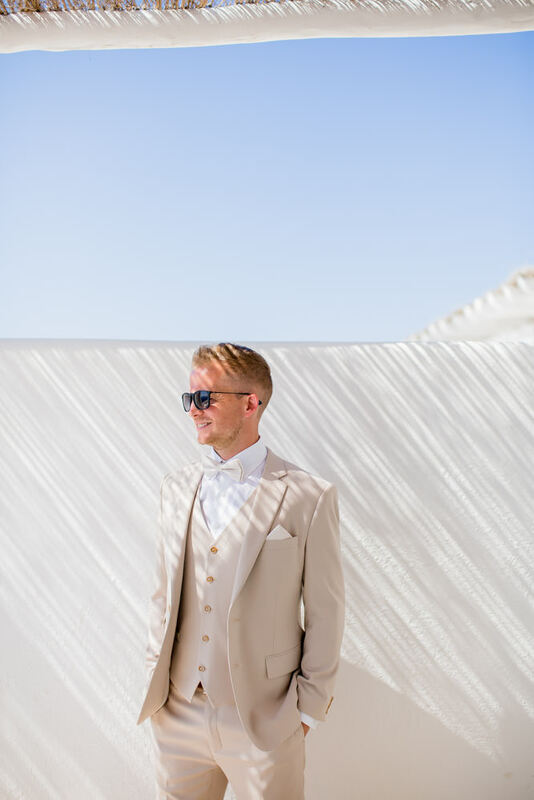 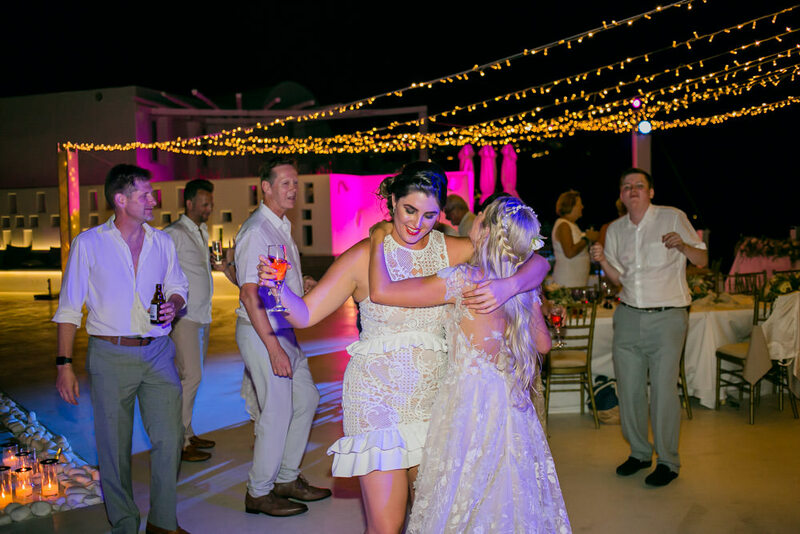 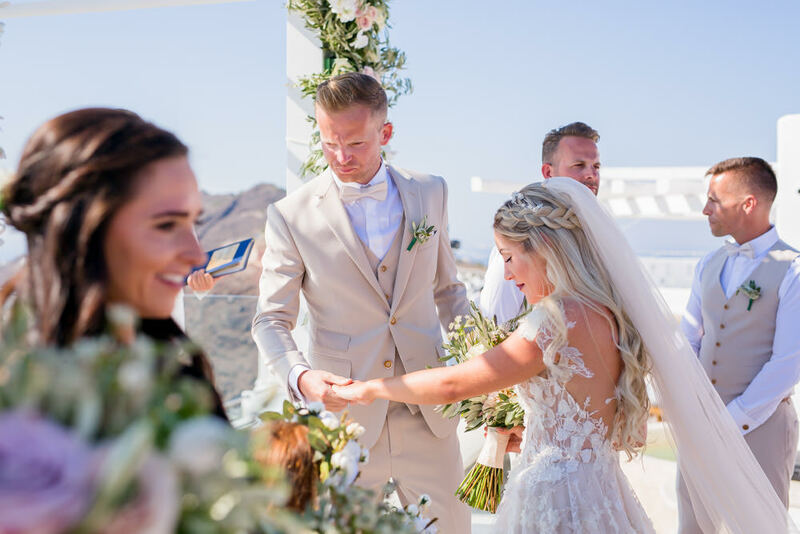 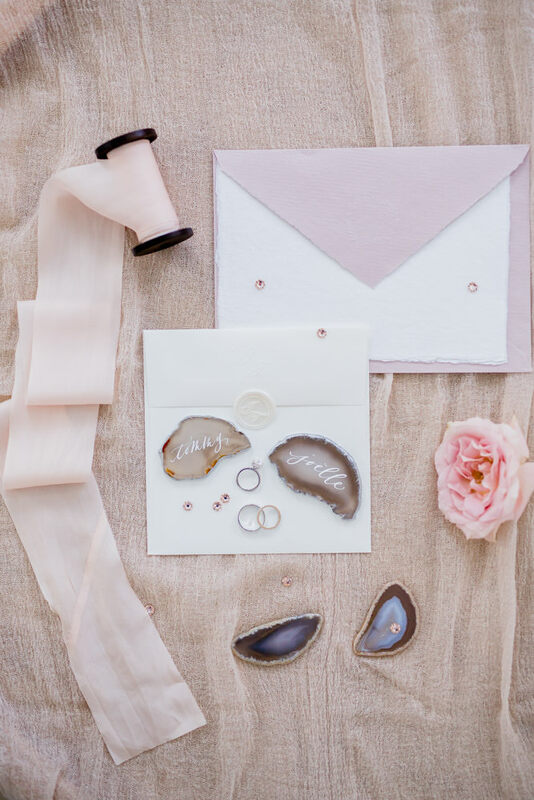 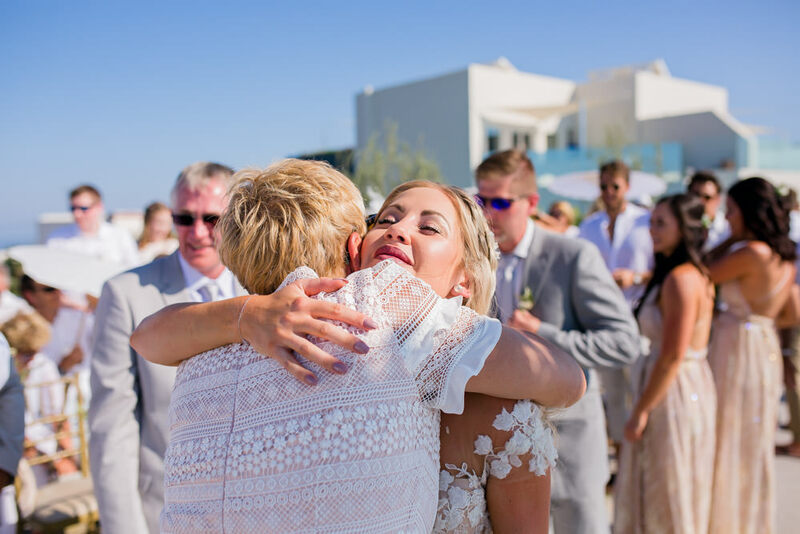 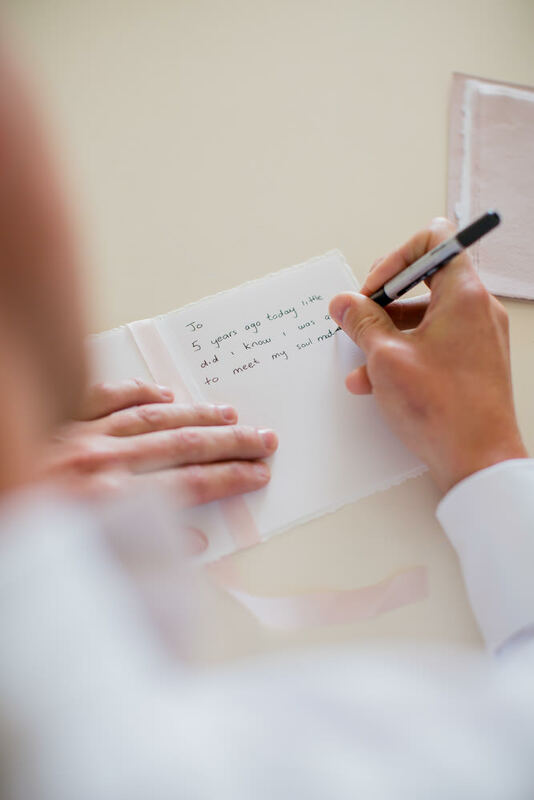 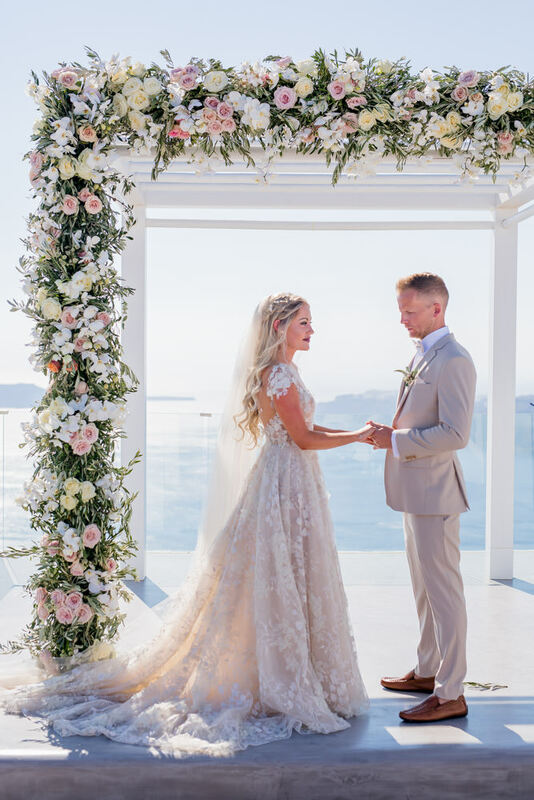 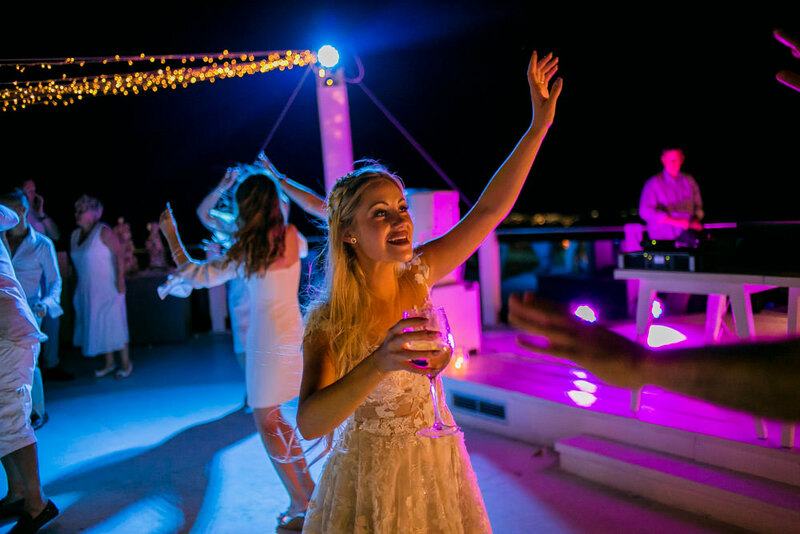 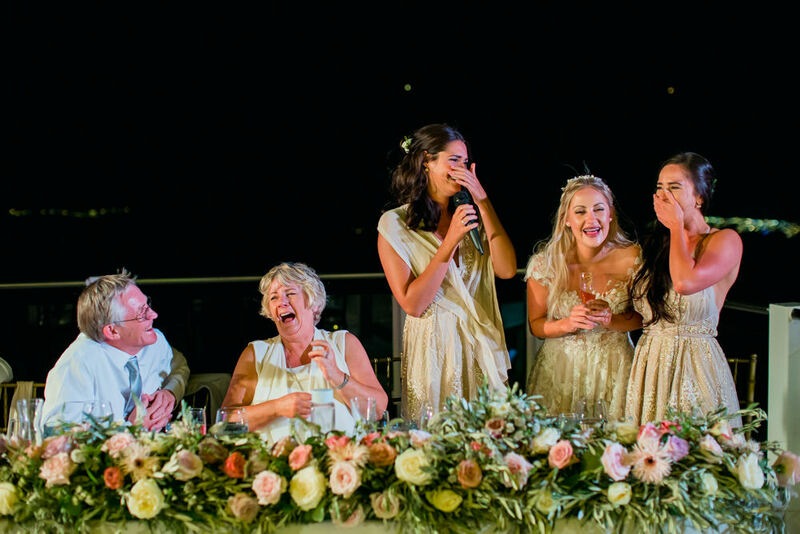 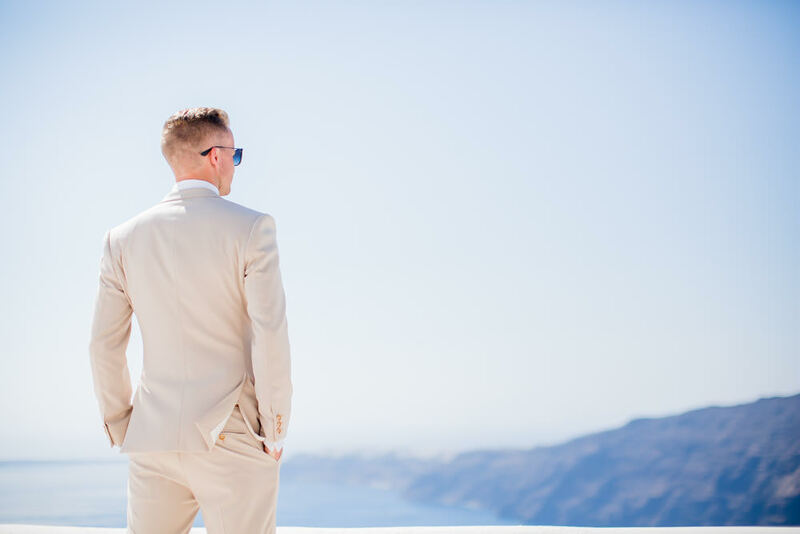 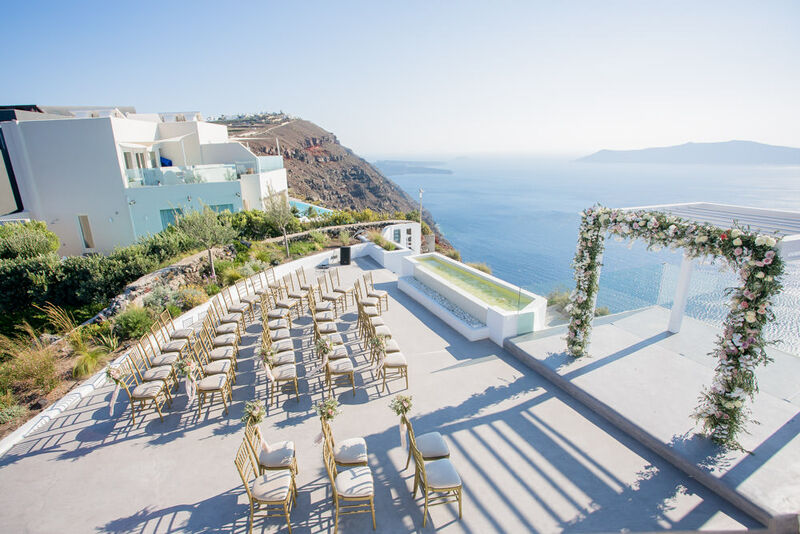 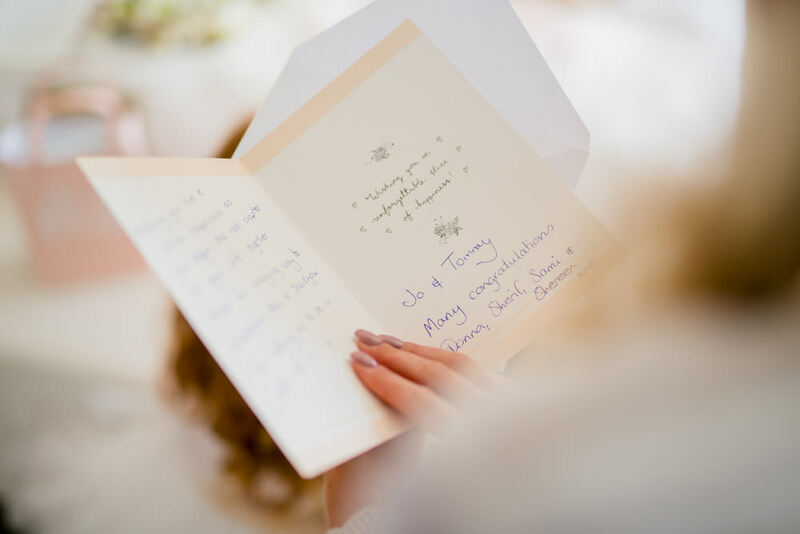 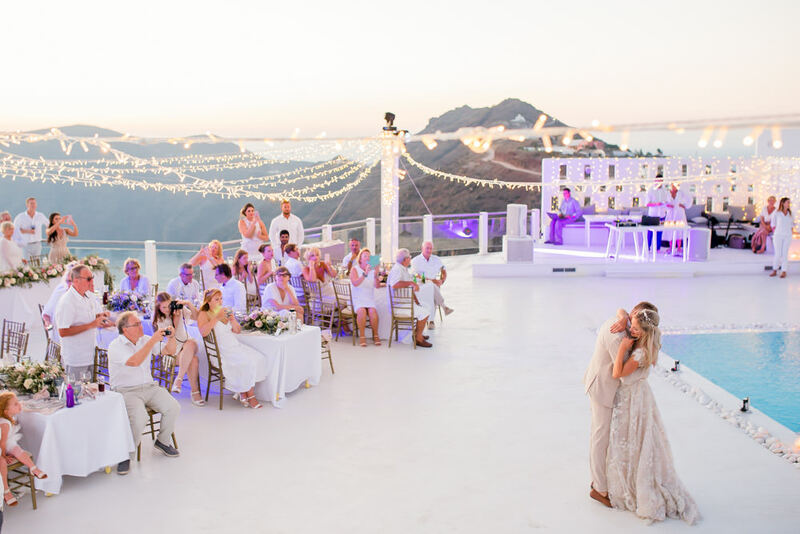 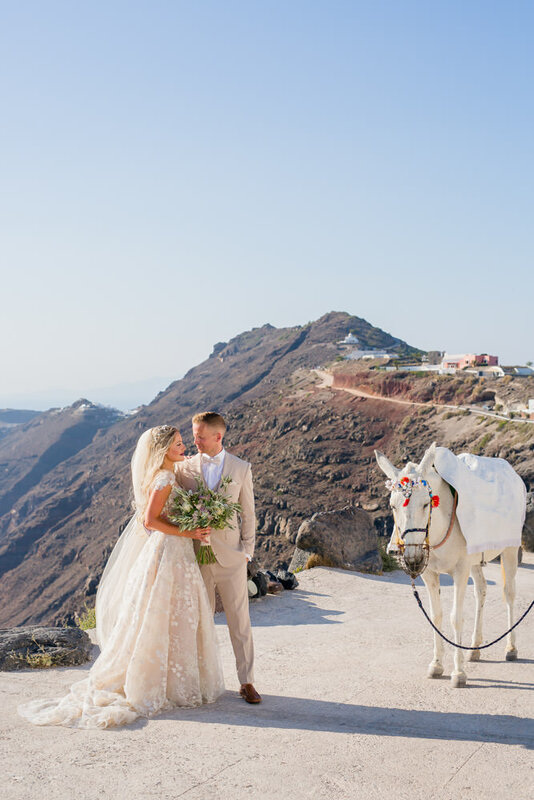 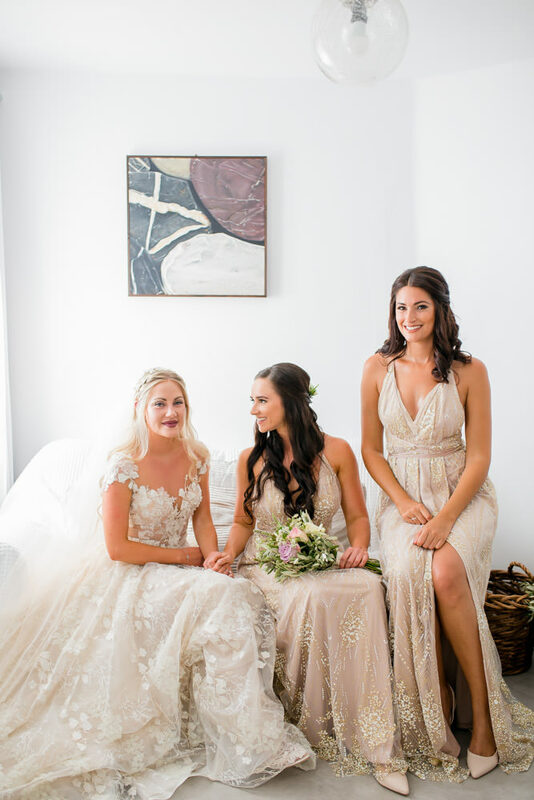 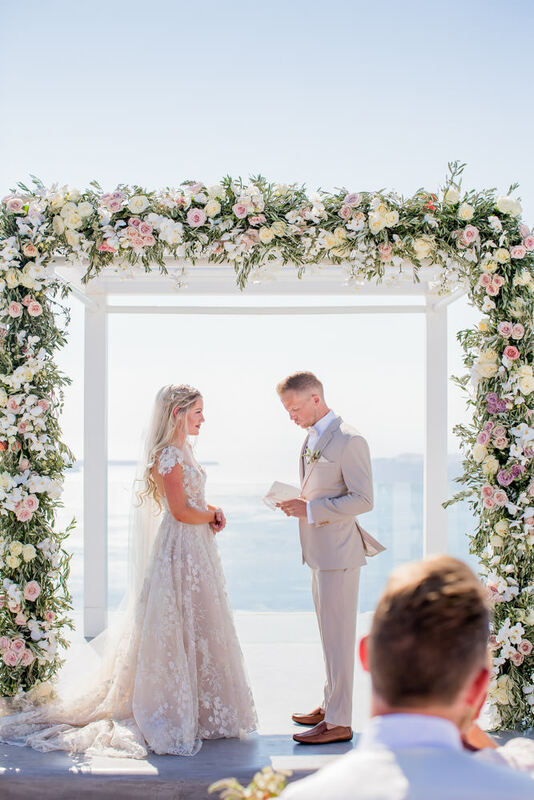 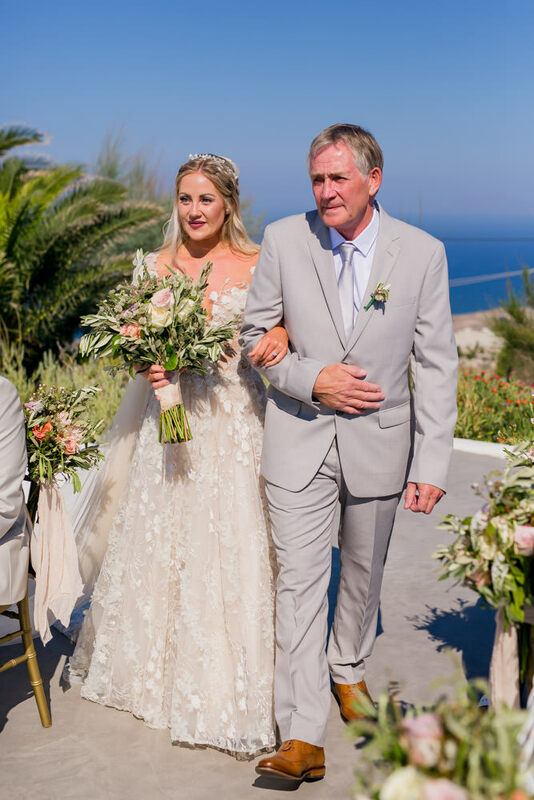 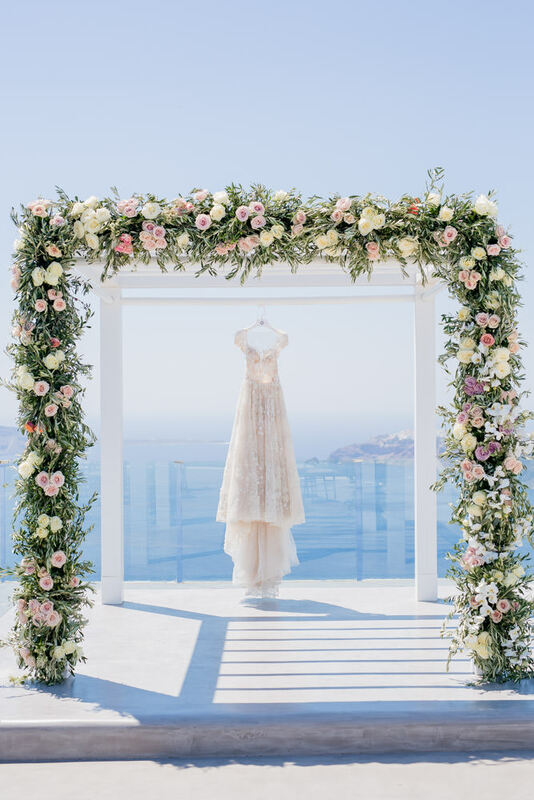 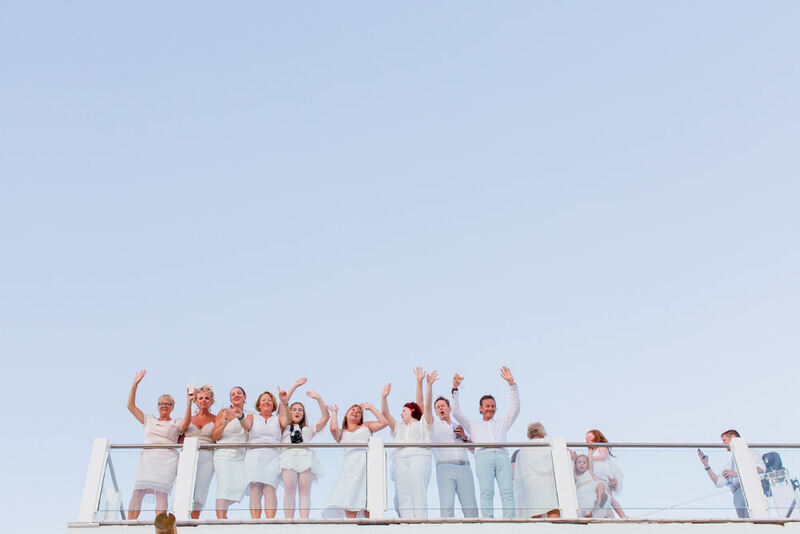 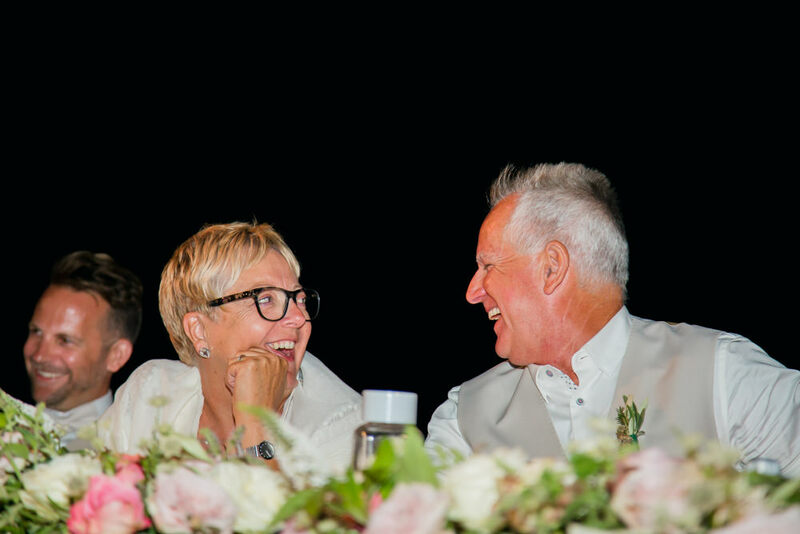 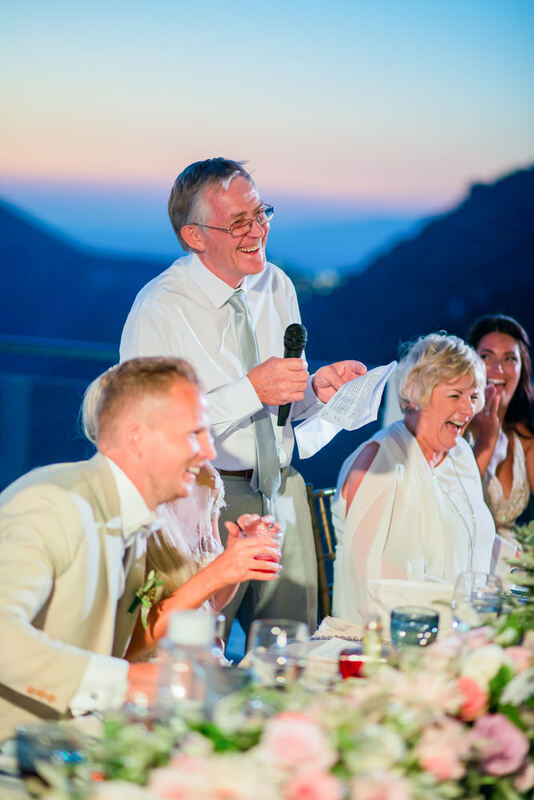 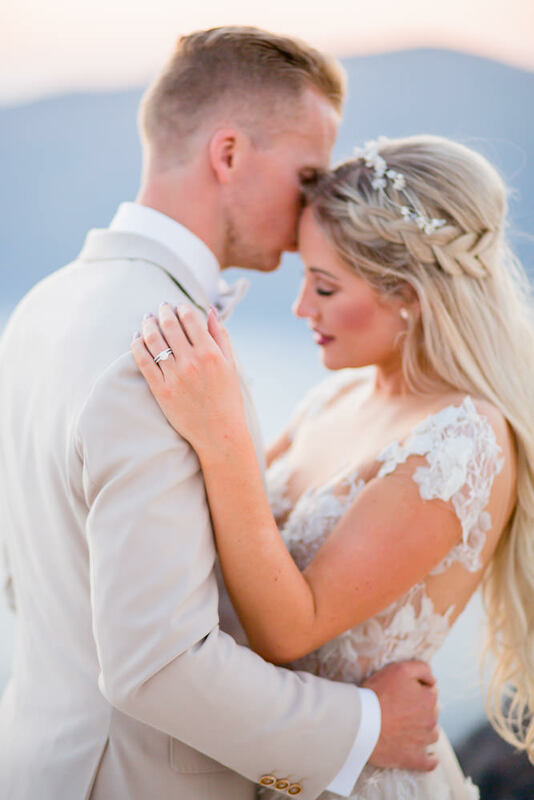 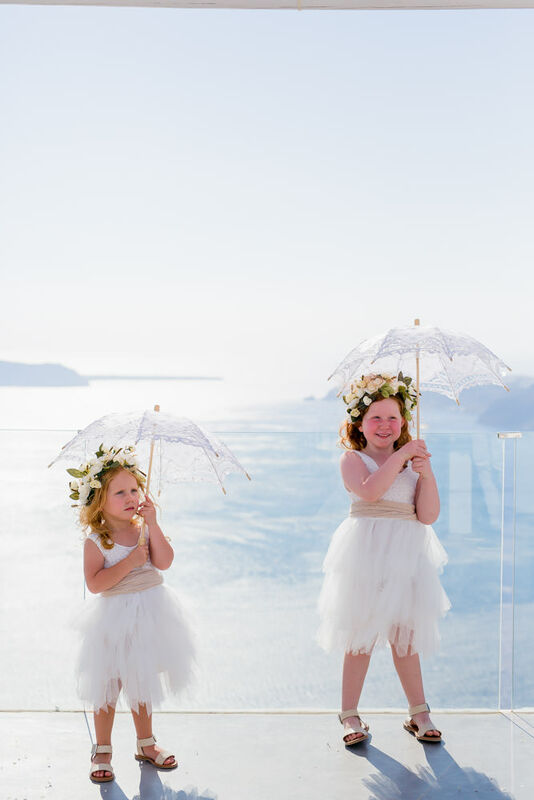 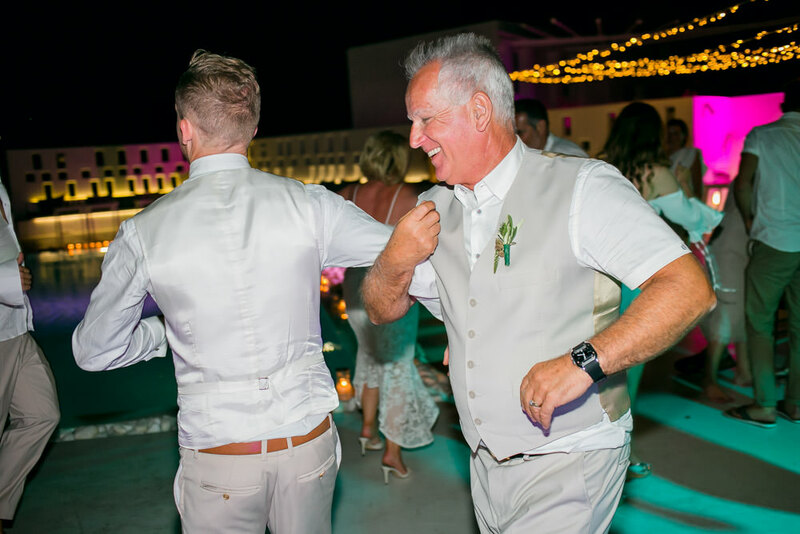 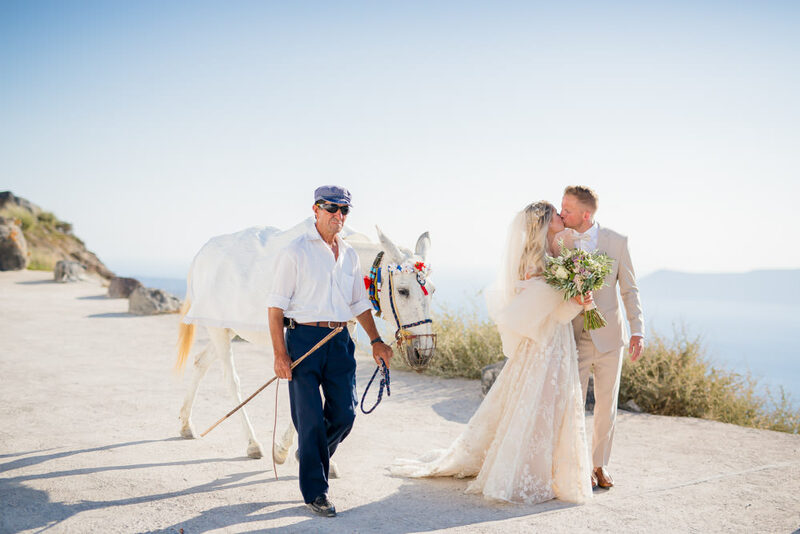 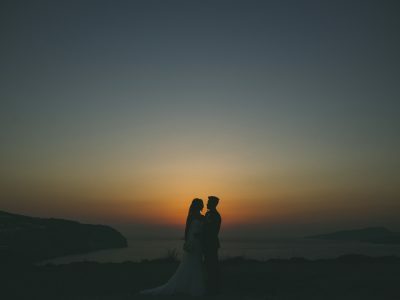 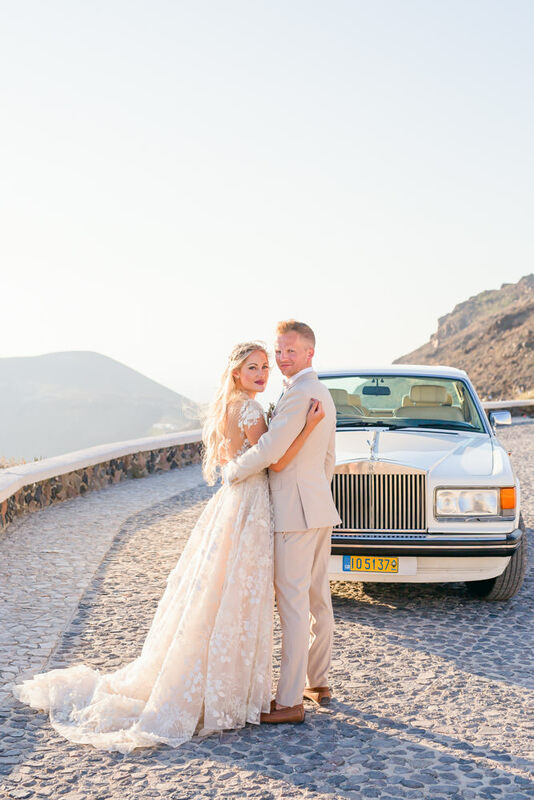 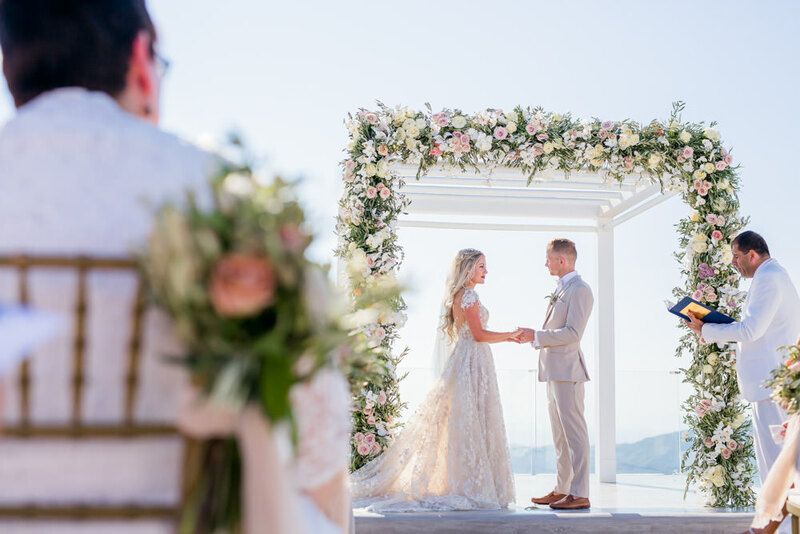 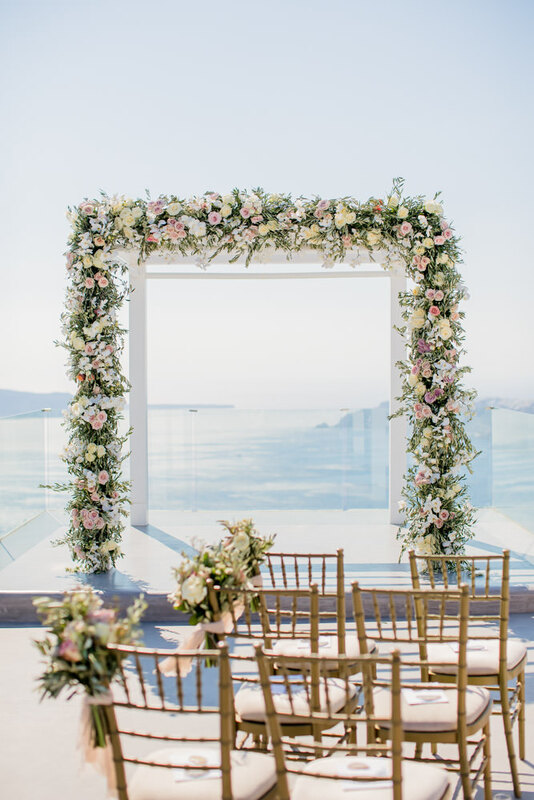 As for the venue’s terrace, Joelle and Tommy asked bespoke wedding designer Santorini Glam Weddings to prepare an one-of-a-kind celebration to match their romantic personalities. 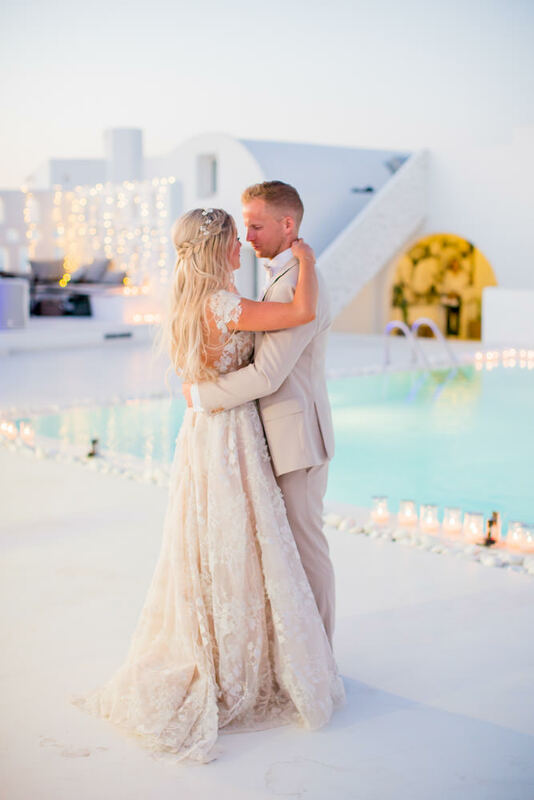 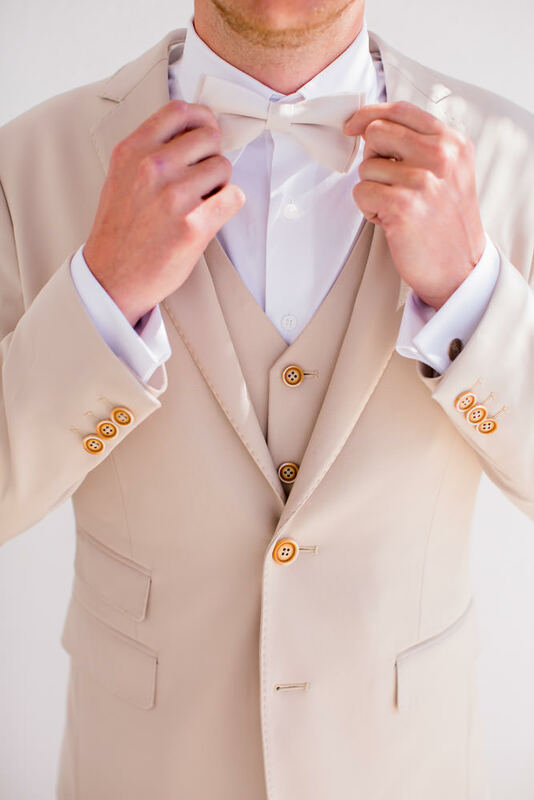 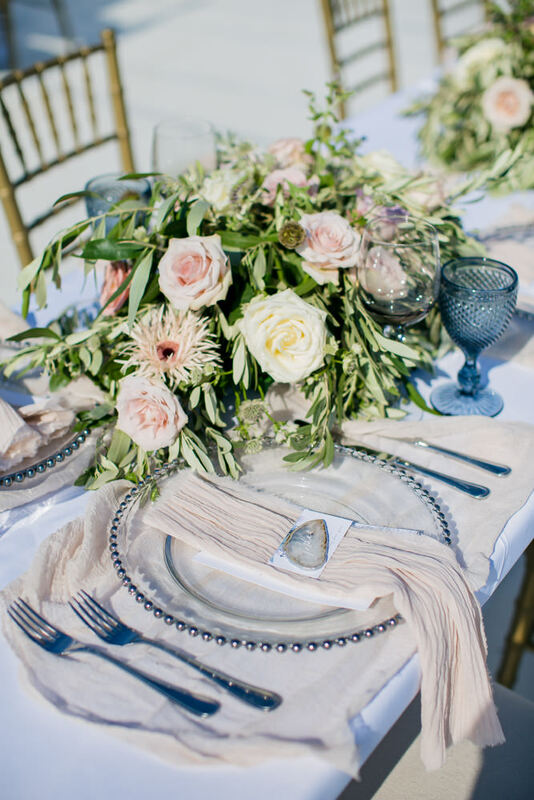 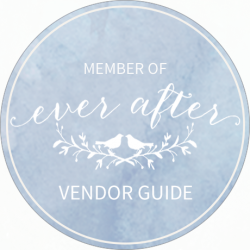 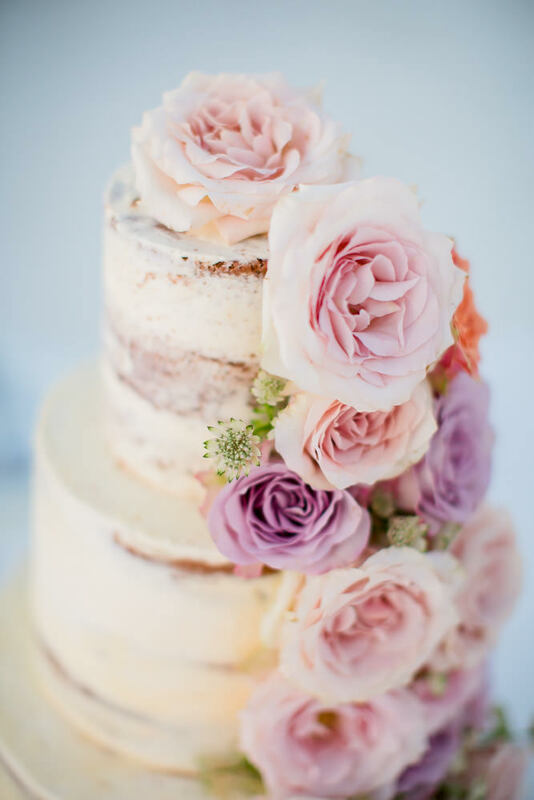 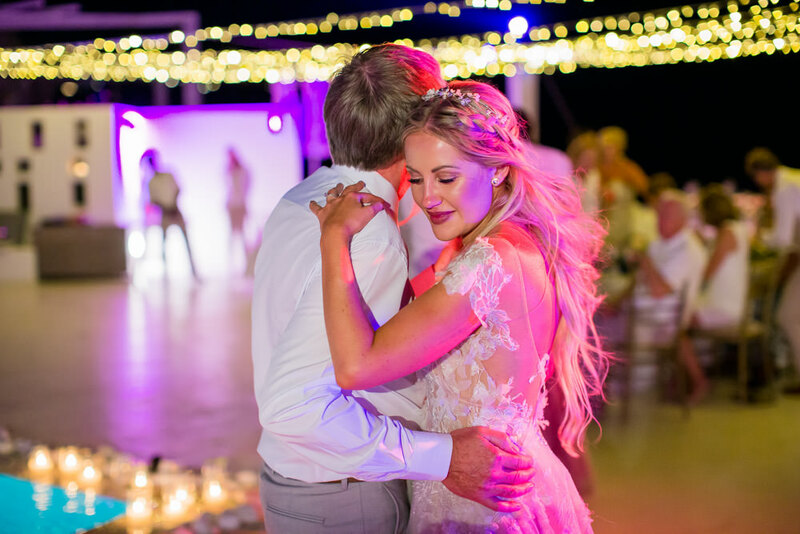 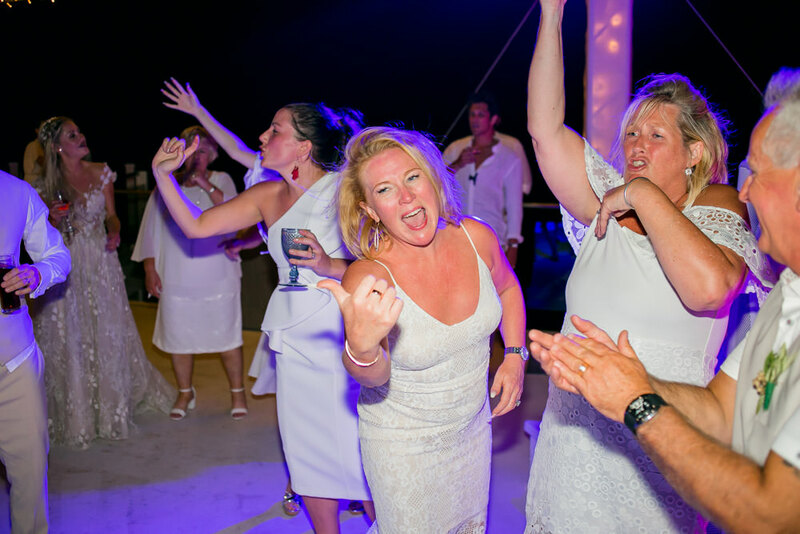 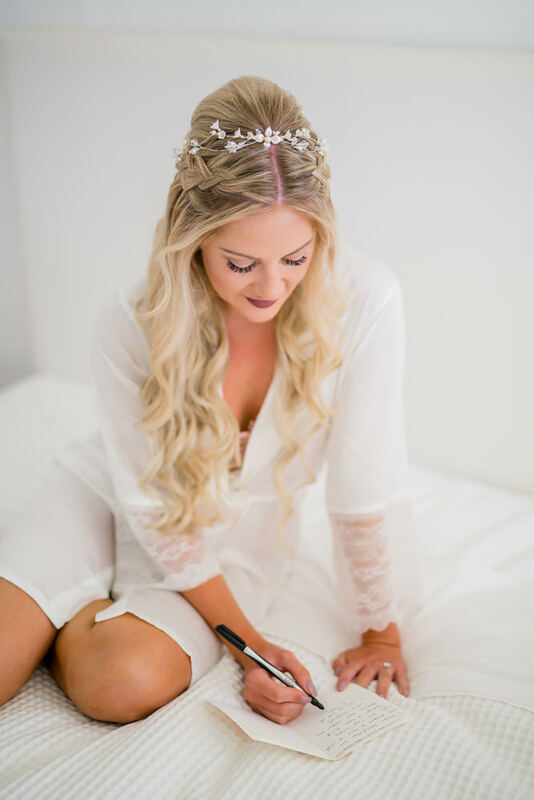 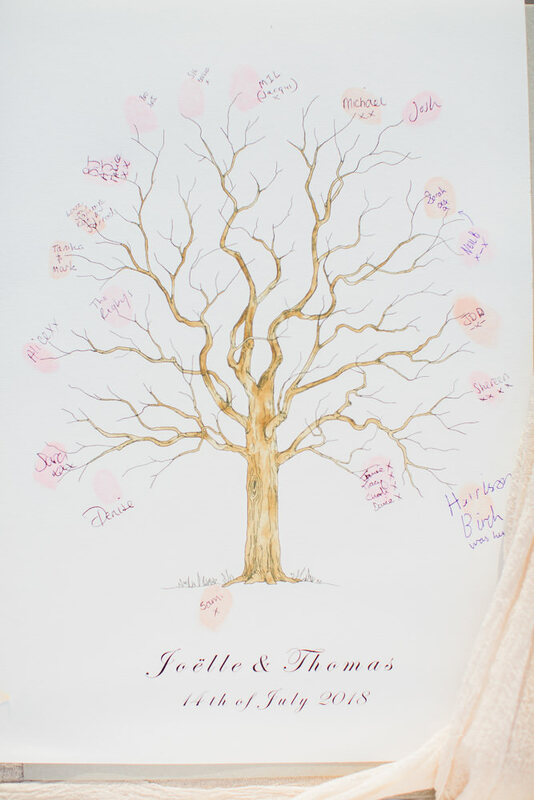 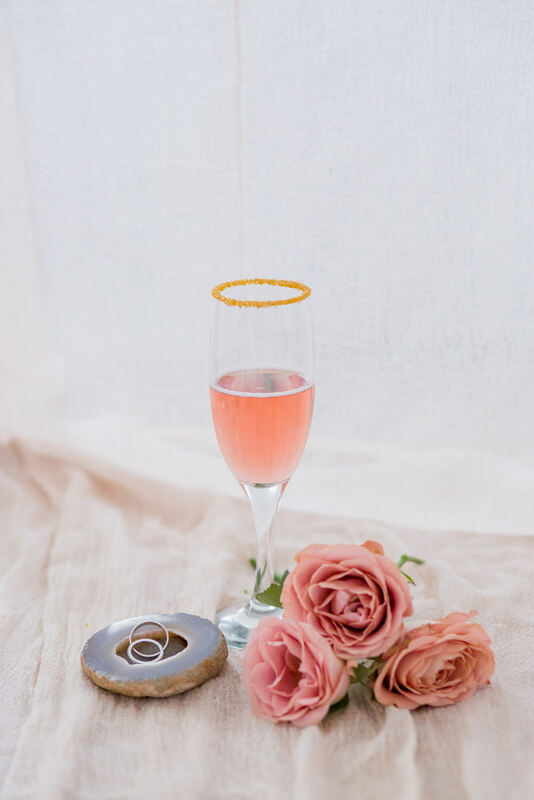 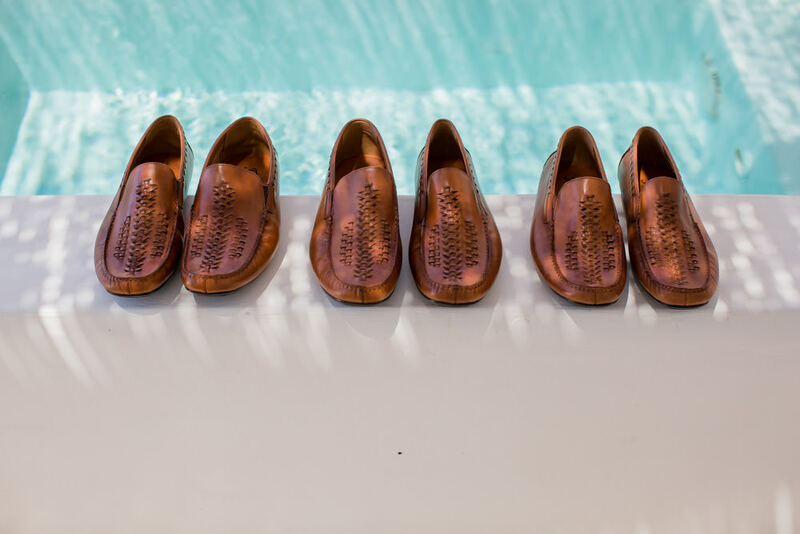 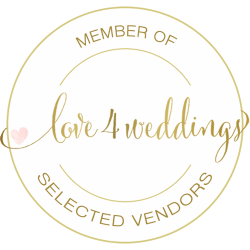 The opulent ceremony and reception took place poolside with the colors of the sky constantly shifting from stark blue to blush pinks and golds and as the lights went on the magic of their union and everyones awed, happy smiles had us dreaming for days!